‘EUA say that more gas storage is crucial to energy security, New £113m Glasgow research hub given the green light, Government establishes £3,500 landlord contribution cap, JTL & Electrical industries charity highlight negative impact of stress’. Have you taken your 18th yet? A spokesperson for the Energy and Utilities Alliance (EUA) has delivered a message to the government about the importance of investing in further gas storage in the UK for energy security. Roddy Monroe, Independent Chair of the Gas Storage Operators Group, attended a recent gas storage inquiry evidence session at Parliament to provide evidence on behalf of the EUA in favour of increasing gas storage to minimise risk and increase flexibility. Mr Monroe said: “I firmly believe that there may be serious implications for UK energy security if policy makers rely solely on the market to deliver the right level of investment to meet broader government objectives including transiting to a low carbon economy and providing access to affordable energy. “Energy security is underpinned by long life, capital intensive investments which require long term financial certainty; these are not characteristics found in our energy market today. We have seen that the government felt it necessary to intervene to help deliver positive changes to the electricity market, such intervention may now be necessary for the gas market if we are to provide the right level of gas security. “The UK currently consumes over 100 billion cubic metres of gas per year, but only has storage capacity equivalent to 2% of this- essentially 7 days’ worth- compared to a European average of 25%. Gas storage can make a significant contribution to achieving this by ensuring that gas supplies are maintained at times of major supply or demand shocks. It also protects consumers from price spikes, ultimately reducing overall gas bills. Therefore, gas storage is vital for the efficient operation of the UK energy markets. “We urge the government to look, in detail, at the issue of gas storage, such as they did in 2013. Since then we have seen a number of material changes to the energy market, which have the potential to worsen energy security and, in particular, significantly increase the exposure to extreme price volatility. “These changes include unprecedented reductions in flexible European gas production (mainly the massive Groningen gas field) and the loss of our own indigenous gas storage capacity, most notably Rough, which comprised 75% of capacity. These detrimental changes to UK energy security are compounded by the uncertainty of the future energy arrangements post-Brexit. JTL is working alongside the Electrical Industries Charity (EIC) to highlight the negative impact of stress. The joint campaign aims to help people working in the electrical sector to address stressful situations and seek help. It includes a dedicated Apprentice Support Programme, designed to help apprentices with any challenges they may face early on in their career. The assistance available through the EIC covers a wide range of issues – from caring for a sick or elderly relative to dealing with redundancy. The EIC’s team of trained advisors can offer free financial, legal, emotional or health-related advice. Thousands of people in the electrical sector are faced with a wide range of difficult situations in their lives, which often lead to mental health issues. Some of those affected reach out for help, but others have no one to turn to and often bury their struggles in alcohol or drug abuse. Addictions such as alcohol or drug abuse often not only have a dramatic effect on physical health but also has significant consequences on mental health which often leads to problems such as depression, anxiety, and many other issues. Recent statistics released by the NHS showed that in the UK in 2015/16 there were 8,621 hospital admissions with a primary diagnosis of drug-related mental health and behavioural disorders. It was also recorded that each year there were 2,479 registered deaths due to drug misuse. The National Institute on Drug Abuse (NIH) also stated that compared with the general population, people addicted to drugs are twice as likely to suffer from mood and anxiety disorders. To help to reduce these statistics and to give crucial access to support services to those who are affected by mental health problems, the Electrical Industries Charity has created the Employee Assistance Programme which offers all of the vital support needed to help people in the electrical sector to get back on their feet and create a life they deserve. Recently, the charity helped an experienced electrician Rhys Lynch to create a better quality of life for him and his daughter. Rhys first contacted the Electrical Industries Charity in 2012 when his partner left him and his two-year-old daughter. Rhys applied for sole custody of his daughter, leaving his job as an electrician to become a full-time parent. On gaining full custody, the council re-housed Rhys and his daughter into a one-bedroom property, and the charity provided a £1,000 grant for household items. In 2013, they were moved to a bigger, two-bedroom property, which better met their needs and once again the charity helped, providing a £1,000 grant for flooring. Despite starting a new life, Rhys’ problems were far from over. 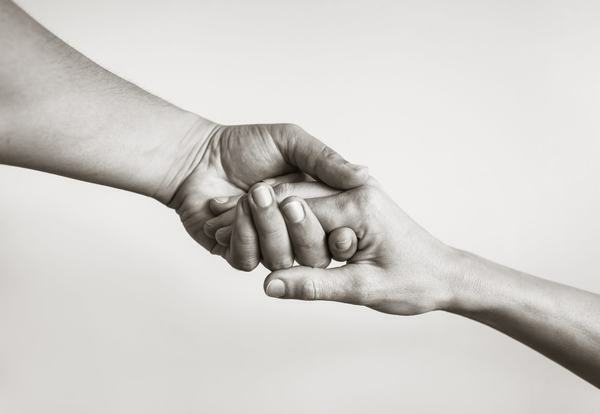 Over the years, Rhys was faced with numerous financial struggles which sadly resulted in him turning to alcohol and drugs and in 2015, Rhys lost not only his home but also custody of his daughter. With nowhere left to turn, Rhys resorted to theft to feed his addiction, and following many incidences, was sent to prison for 14 weeks. After serving his sentence, Rhys suffered a further relapse and nearly lost his life. Since then he has sought counselling and support for underlying issues which dated back many years. The charity once more offered support to help with his debts, and he was granted a debt relief order (DRO). Since September 2015, Rhys has been free from drugs and alcohol and can now see a brighter future ahead. But the road to recovery is never easy, and for people suffering from mental health issues, ongoing support is vital which is why Rhys contacted the charity once more in January 2017. The charity helped with the cost of updating his qualifications through Able Skills and as a result he has now passed his 2394/95 City & Guilds Testing & Inspection course. He has secured a maintenance contract with a local estate agent and has been offered a contract with a local construction company. Thanks to the support and financial assistance provided by the Electrical Industries Charity, he is once again living with his daughter and is well on his way to building a better life. Rhys’s story highlights that seeking help and having access to support services can remarkably change someone’s quality of life and this is why the charity always ensures that people in the electrical sector get the support they need when they need it. If you would like to contact one of the EIC’s team, go to jtltraining.com/free-support/ or just call 0800 652 1618. WaterSafe, the UK register for approved plumbers, is urging everyone to ‘take the scratch test’, as more than two-thirds of homeowners don’t know if their water is supplied through potentially harmful lead water pipes. Sixty-eight per cent of homeowners don’t know if they have potentially harmful lead water pipes in their property, according to a survey of 2,000 property owners by WaterSafe. Water used for drinking and cooking that has been supplied through lead pipes can result in a build-up of lead in the body. This can be bad for health – especially for babies and children, whose development can be affected. Another 53% of homeowners don’t know that it’s their responsibility to replace lead pipes should they find them in their homes. Julie Spinks, director of WaterSafe, said: “We’re asking property owners to do one thing during Lead Poisoning Prevention Week (Oct 21-27) – check your homes and business premises for lead water pipes, especially if you have an older property. It’s quite simple – find the water pipe where it enters your home, which is usually in a kitchen cupboard or under the stairs. 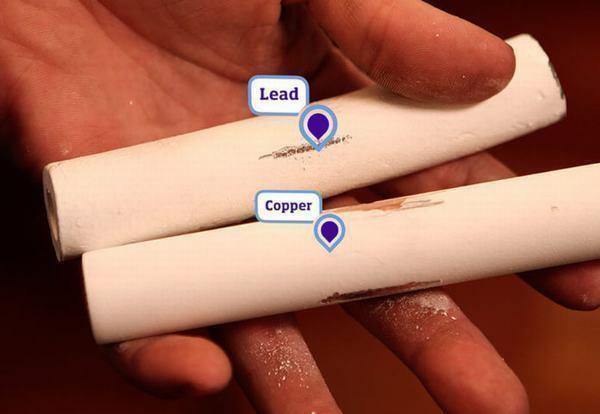 The use of lead in plumbing has been banned in the UK for more than 25 years, so it’s the houses built before 1970 which are most likely to have lead pipes. Homeowners who find they do have lead pipes should contact their water supplier who can test the levels of lead in the drinking water and offer advice on replacing them. More than 1,000 conscientious contractors have now successfully taken and passed their 18th Edition training with NICEIC and ELECSA. The 18th Edition officially launched in July this year with electrical contractors given a six-month transition period to get up to speed with the changes. While some contractors have decided to delay any training – others have been keen to get cracking straight away. Neil Vincent, Training Manager at NICEIC and ELECSA said: “It has been interesting to see people’s attitude towards training since the 18thwas launched. “Some have been extra keen and jumped straight in and others are still biding their time and looking to do it over the next 3-6 months. NICEIC and ELECSA have been at the forefront of delivering training packages to suit contractors’ needs. It currently runs two different 18th Edition courses. The full course takes three days and is for contractors who feel they need a working knowledge of the latest edition of the Level 3 Award in the Requirements for Electrical Installations BS 7671:2018 qualification. Both courses can be taken online or in the classroom and there has been a real split in the type of course and the way contractors are choosing to access training. Neil added: “In terms of the full version and the update course, we are seeing a real 50/50 split. We expected that as many contractors chose to update their training requirements at the time of the last amendment in 2015. 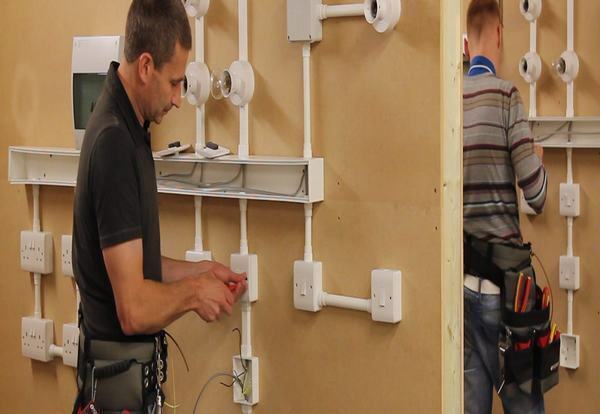 “It is also curious to see that the majority of bookings are for classroom based learning where contractors can discuss and share information with fellow electricians. A partnership with JTL also means contractors choosing NICEIC and ELECSA now have the option to take the course at more than 35 locations across the UK. In addition, NICEIC and ELECSA can also offer in house training for companies looking to train large numbers of employees in one go. More than 150 people have taken training this way already with organisations such as Mitie, Places for People and others choosing this method. Neil added: “We can offer a range of options to all contractors. For any individual or organisation that has not yet booked in their training, we would encourage them to get in touch and speak to our team. 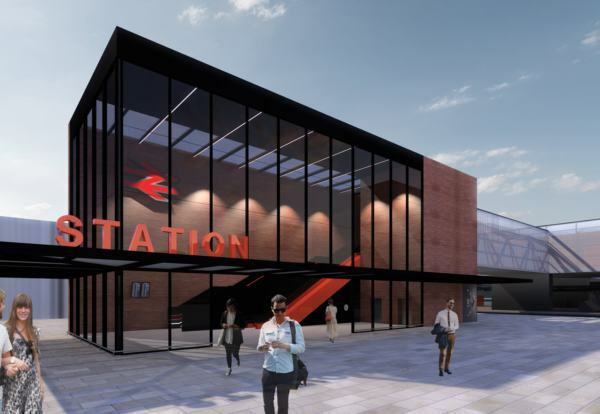 Contractors are being called up for a bidders day for a £40m new station near the Brent Cross Shopping centre in North London. Called Brent Cross West, the new Thameslink station forms part of the wider Brent Cross and Cricklewood regeneration scheme and already has outline planning. The London Borough of Brent is planning the market event next month ahead of inviting tenders for a design and build contract. The new station is required to be completed, commissioned, handed over into operations and maintenance by May 2022. It will have four platforms, with a single bridge serving the purpose of a public right of way footbridge, as well as access to the new platforms. The project proposals have been developed to GRIP4 with the successful bidder expected to taken the project forward to GRIP stages 5 to 8. Registration for the event on 13 November should be sent to procurement@barnet.gov.uk ref Brent Cross West Station November 2018. Contractor J Murphy & Sons is presently working on an enabling works contract for the new Thameslink Sidings facility near the new station site. Tottenham Hotspur Football Club has confirmed that its new £800m stadium will not be finished before the end of the year but still does not know when it will be able to open. Spurs had expected to play its first fixture at its new stadium on 15th September 2018. During construction works the club has been playing home games at Wembley Stadium. Key contractors involved in the mechanical, electrical and safety systems are being supported with external resources and closely monitored by Mace, the construction manager, the club said. 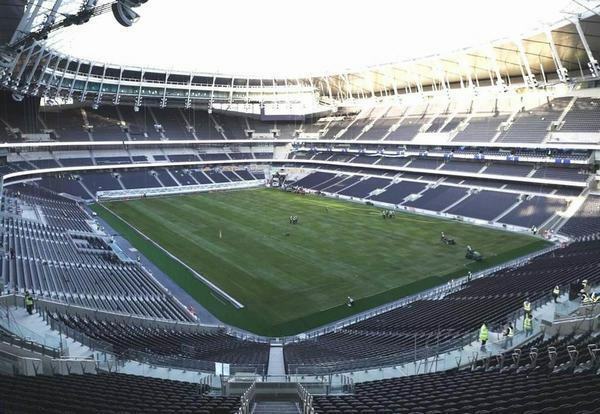 Chairman Daniel Levy said: “There isn’t an hour that goes by when I am not asked when we will be able to stage our first game at our new home. “Whilst we are conscious of the need to keep pressure on our contractors to deliver as soon as possible, we are also acutely aware of how difficult the lack of clarity is for you, our supporters, to plan around games, particularly those at Christmas and New Year. He added: “The delay in the stadium opening has made it possible for some track and station improvements to be brought forward due to the fact that previously non-available construction dates have become available for works. “We have no doubt when open that this stadium will be one of the finest in the world – a leading example of British research and development delivering engineering and technological firsts that will be showcased globally. The University of Glasgow has received planning consent for the first building on the site of the former Western Infirmary. Multiplex can now proceed will full-scale building work on the £113m Research Hub, with completion expected in 2021. The Research Hub, designed by HOK architects, will host over 600 academics, postdoctoral researchers and PhD students working across five broad research themes. Professor Sir Anton Muscatelli, Principal and Vice-Chancellor, University of Glasgow, said: “This represents a landmark moment in our £1bn Campus Development programme as the Research Hub will be the first building to be constructed on the site of the former Western Infirmary. WaterSafe is advising older consumers not to risk their home’s water quality after a survey revealed many over-55s are failing to make important checks when hiring a plumber. only 12% checked if their plumber had insurance. WaterSafe’s survey also revealed that only 28% of over-55s asked for a written quote and agreed a timescale for any plumbing work. Julie Spinks, Director of WaterSafe said: “Plumbers approved through WaterSafe can give older homeowners immediate peace of mind as they are fully qualified to carry out plumbing work in homes and businesses, and specifically trained to meet the strict regulations for installing pipes and fittings that keep the nation’s drinking water safe. Keltbray is backing plans for a new theme park in Kent with a multi-million pound investment. The specialist contractor has formed a joint venture with project developer LRCH to invest £25m into the London Resort Project near Ebbsfleet. The £5bn scheme was dealt a blow last year when film studio Paramount Pictures walked away from the project. Proposals for the park have been around since 2012 with the latest timetable promising a planning application next year. Steve Norris, Chairman LRCH said: “We are delighted to welcome Keltbray to this most exciting project. “We have been discussing for some time the best way to harness their specialist construction industry expertise alongside their ability to act as a catalyst for further industry participation and investment. 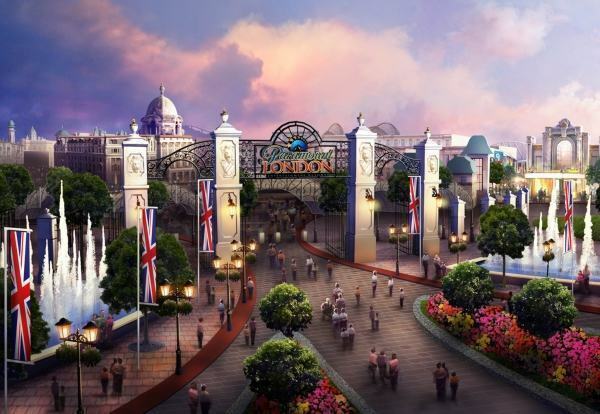 A £5bn investment will transform seven million square feet of land into two theme parks celebrating brands from across literature, television, music, film and entertainment. Brendan Kerr, CEO of Keltbray, said:“Keltbray is recognised in the industry as an enabler of projects. “It has long prided itself on its ability to manage the most challenging of projects thanks to its investment in training, design and plant. “At seven million square feet, this new theme park won’t be an easy project but that is why the formulation of this JV with LRCH is an ideal partnership. Theft from vans can be a costly issue for British tradesmen and women but now a team of motoring experts have issued six top tips to deter pesky thieves. The team at LeaseVan.co.uk have researched into the most effective and affordable ways for van drivers to improve their security so that vehicles appear less of a target for those looking to pinch tools. From choosing parking spots wisely in well-lit areas, to removing precious valuables and keeping them inside overnight, they’ve looked at the easiest ways van drivers can help reduce the chances of their vehicles being broken into. 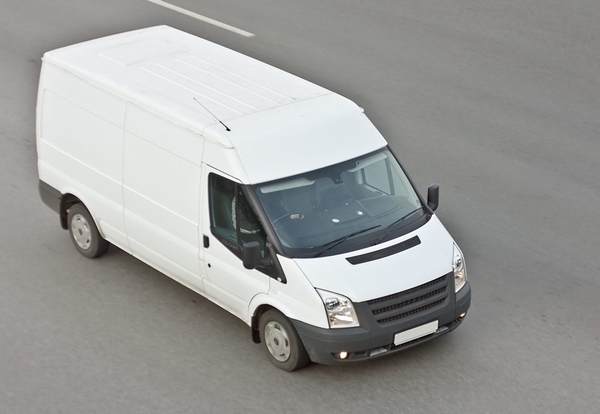 Tim Alcock from LeaseVan.co.uk said: “As the shorter evenings roll in, van theft can become more prevalent as thieves choose the cover of darkness to come out and do the deed. “Anyone who has suffered a break-in or who has had valuables stolen will know how devastating it can be. It’s even worse if the perpetrator causes damage to your vehicle in the process as it’s a further expense and can hinder work. “Certain criminals are savvy enough to find ways around basic security systems and factory fitted immobilisers and alarms often don’t make the cut and can do nothing to prevent theft. “As the saying goes – you can never be too careful, so we’re trying to advocate prevention over everything else. It can be a chore removing valuables from your vehicle every night, but it’s worth popping them in the garage if it means they’re fully protected. If it’s not possible to remove all tools then just take the most expensive and store them securely overnight. Don’t forget to put them back in the morning when you need them for work though! Where possible, park in a garage or on a driveway, but if you can’t get a spot close to your home or if you have street parking, aim to get it as close to your front door as possible in a well-lit area covered by CCTV. This way you can keep an eye on your car and it will also deter thieves if they can be seen – they are likely to go for darker, hidden spots where they won’t be noticed. If you’re parking your van at home, consider adding extras such as motion-detecting security lights, lockable gates or even rising bollards to your home. Lockable toolboxes are perfect for storing all equipment or just the valuables – if the toolbox has another feature to unlock this may mean thieves will be discouraged to take it as they won’t be able to get to the goods anyway – it’s always good to have an extra layer of protection. rear doors, for example, are great for visibility but they can be a security risk as they let everybody know what’s in your vehicle and they can be more easily broken. Most modern vans offer a good range of security features, but if you need to add extras, consider specifying an alarm, immobiliser and deadlocks for all the doors. Handbrake locks, heavy-duty steering wheel locks, locking wheel nuts and lockable fuel filler caps are just some of the simple and affordable measures you can buy to boost your van’s security. Plastic window tints and upgraded deadlocks and slam locks for doors are also worthwhile physical add-ons for commercial vehicles that can be adapted to suit different needs. Check out the more advanced electronic alarms and vehicle tracking devices too – electronic GPS trackers can vastly improve the chances of recovering your van if it is stolen and advanced systems can alert police when a vehicle is stolen too. Another option is to install a CCTV system to monitor the area or areas your van is mostly parked. The latest cameras can be connected to your local Wi-Fi network to stream images directly to your smartphone or computer. They can also be set to activate when they detect movement. 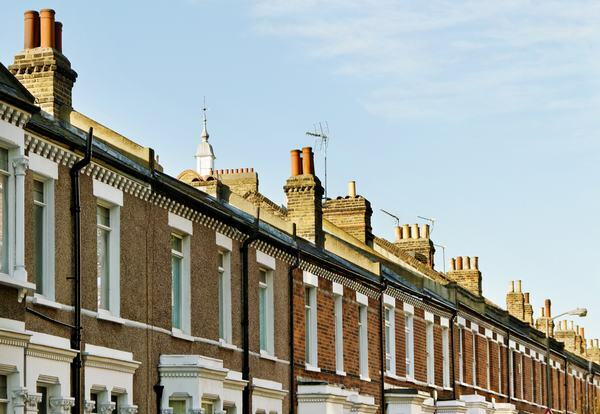 The government has ended its consultation on proposals to amend the Energy Efficiency (Private Rented Property) (England and Wales) Regulations 2015, primarily deciding to increase the landlord financial contribution cap to £3,500. The response said: “In line with the consultation proposal, the government intends to amend the regulations to introduce a capped landlord contribution that will take effect where third-party funding is unavailable or insufficient to cover the costs of energy efficiency improvements. 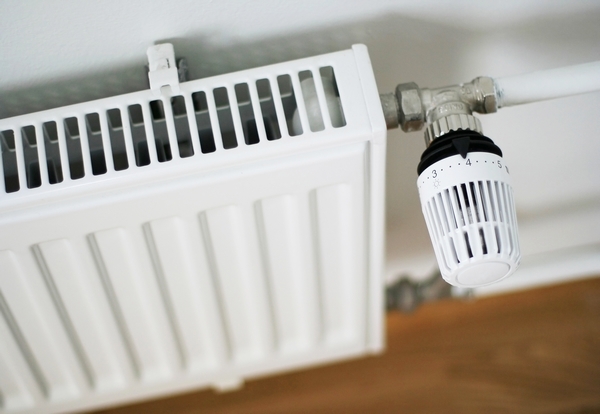 This new funding cap is an increase on the initially suggested £2,500, but still lower than the £5,000 cap recommended by the Heating and Hotwater Industry Council (HHIC). According to the HHIC, setting the cap at £2,500 would have only helped 30% of houses reach EPC band E, whereas a cap of £5,000 would assist a substantially higher number of homes. Stewart Clements, Director of the HHIC, said: “When government and industry – ‘those in the know’ – work together then the resulting outcomes are better. I am pleased that the government has recognised that legislation is required in the rental sector to improve EPC ratings. The figure of £3,500 improves upon the suggested £2,500, which would have only helped 30% of homes improve upon their EPC rating. The full government response to the consultation can be found here. Domus Ventilation, part of the Polypipe group, has launched the HRXE range of high-performance Mechanical Ventilation with Heat Recovery (MVHR) units for small to medium size residential properties. MVHR systems combine supply and extract ventilation in one system. They efficiently recover the heat typically lost in waste, stale air and use it to temper the fresh air drawn into the building via a heat exchanger. 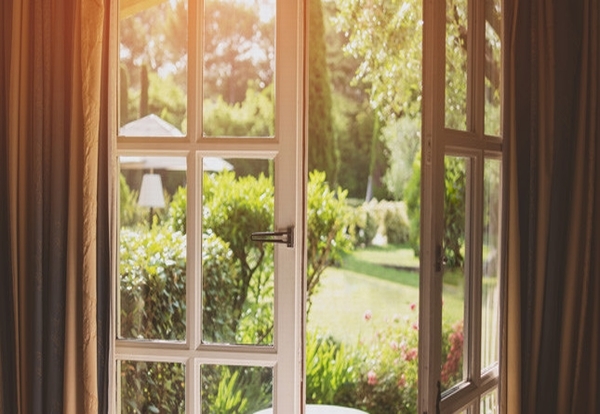 The filtered, pre-warmed air is distributed to areas of the home such as living rooms and bedrooms, effectively meeting part of the heating load in energy efficient dwellings. 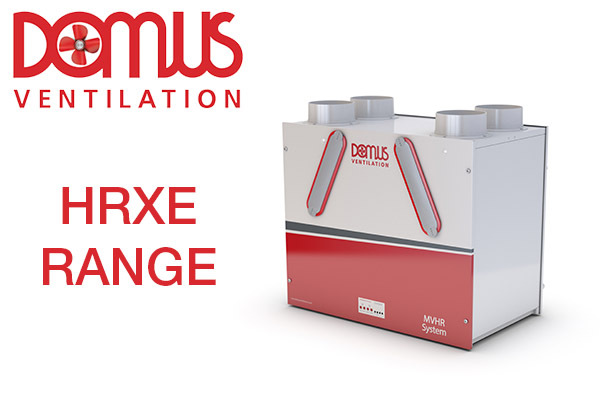 Building on its success in MVHR, Domus has developed the HRXE units to provide even greater efficiency through advanced heat exchange proficiency and low Specific Fan Power (SFP). When used with a kitchen and one wet room, a typical installation, the HRXE provides a 90% heat exchange performance and boasts a very low SFP down to 0.57W/(l/s). The new HRXE range is not only efficient but also exceptionally quiet, with background (normal) ventilation at 24dB(A) (typically whisper quiet). Noise reduction can be further reduced through the use of an Anti-Vibration tray, which isolates the unit from the wall to reduce any low levels of vibration induced noise which can be distracting to residents. There are four models in the HRXE range, all with a two year warranty and all featuring 100% thermal (summer) bypass which automatically activates when the air temperature reaches a pre-set level, allowing in cooler, fresh, filtered air without warming it through the heat exchanger. The smart design of the HRXE means there is no reduction in airflow when operating in bypass mode. Within the range, models are available with integral humidity sensors, which is much in demand. By accurately measuring air humidity, the HRXE’s extract speed automatically changes from background to boost as the level of humidity increases, thereby providing optimal ventilation performance. When it comes to installation, Domus Ventilation has designed the HRXE units to be even smaller than their predecessors making them ideal for wall-mounted cupboard installation, with opposite-handed models available to meet different on-site requirements. Spigots on the top of the HRXE are 125mm, but with Domus Ventilation’s extensive duct portfolio, adaptors are available to enable direct connection to the most common ducting size – 204x600mm flat channel duct –for quicker and more cost-effective installation. Furthermore, integrated controls are accessed via a front panel for easy commissioning. The HRXE range has been designed to work most efficiently when used with Domus duct systems, including its Flow Control Plenum and High-Efficiency Green Line Bends, which reduce duct bend resistance by up to 60%. Domus duct systems offer improved system performance through the exacting tolerances and engineered fit of the system, whereby pressure drops are minimised and air leakage virtually eliminated. Domus Ventilation has a well-deserved reputation for quality, supported by an excellent technical support, from a market leading manufacturer and designer. It is well placed to offer immediate, practical solutions to Building Regulations Parts F & L.
A man who manufactured and sold fake construction industry skill cards has been jailed for more than three years. Online trader Andrew Weeks was sentenced at Warwick Crown Court for offences under the Fraud Act. Weeks was caught following an investigation by Warwickshire County Council Trading Standards. Officers discovered that he was manufacturing construction industry skill cards at his printing firm and selling them via his website. Weeks was sentenced to 3 years and 8 months after pleading guilty to the manufacture of fake documents. The investigation was supported with information from the Construction Industry Training Board and a number of card schemes including the Construction Skills Certification Scheme and the Electrotechnical Certification Scheme. Graham Wren, Chief Executive at CSCS said: “This is another example of the industry working together to tackle card fraud. “CSCS will always support the authorities to identify and act against those attempting to deceive construction employers. Weeks was also sued by CSCS for copyright infringement and ordered to pay damages of £6,000. Steve Brawley, Chief Executive at ECS said: “We hope that this case will serve as a message to would be fraudsters that their actions will not be accepted. Ian Sidney, Fraud Manager at CITB said: “This sentence shows just how serious construction card fraud is and the lengths that CITB and the whole industry will go to in order to stamp it out. 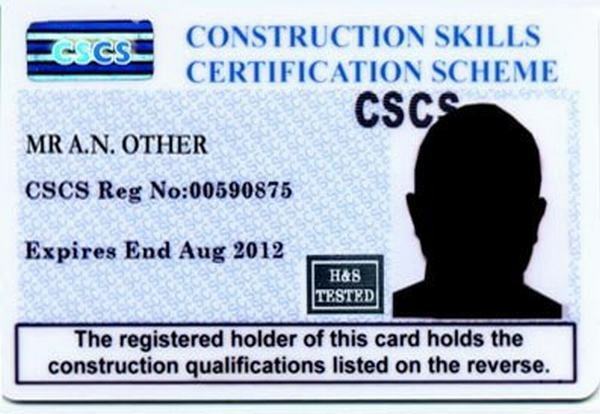 “The use of fake cards could easily lead to accidents, injuries or even fatalities where contractors do not have the required skills, training or qualifications. In support of the Government’s Green GB Week, TrustMark, the Government-endorsed quality scheme for tradespeople, announces that it has expanded its remit to include Repair, Maintenance and Improvement (RMI), retrofit and energy efficiency sectors, in order to now cover any work a consumer chooses to have carried out in or around their home. 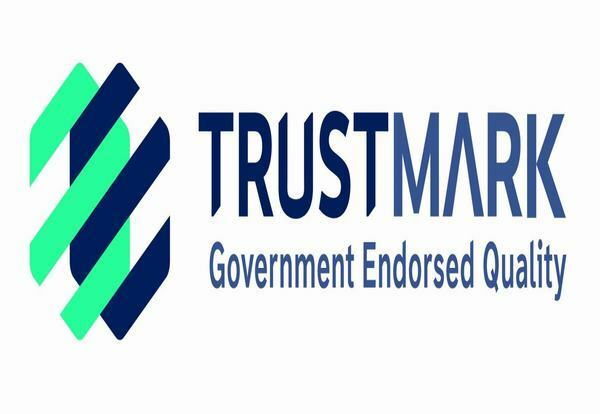 TrustMark has extended its responsibilities following the industry led Government-commissioned Each Home Counts review in 2016, which identified a requirement for an all-encompassing mark of quality for consumers to recognise and trust. TrustMark was chosen to be the brand that the quality mark has now become with clean growth and energy efficiency being a key focus of the scheme. · The Core Criteria document will be replaced by the Framework Operating Requirements (FOR). This will be delivered through the network of Scheme Providers who will vet and monitor each business registered within the scheme. 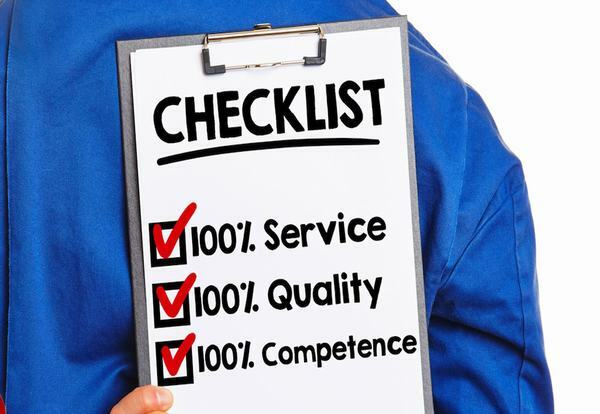 · The FOR will be supplemented by additional documents such as the Code of Conduct (setting out requirements to Registered Businesses) and the Customer Charter (outlining the rights and responsibilities of customers), both of which aim to improve clarity of communication for tradespeople and their customers. · New and updated branding, which includes a refreshed logo to reflect the significant incoming changes, whilst celebrating the core values and name that remains at the heart of TrustMark as an organisation. · The TrustMark website has also been updated to display the new branding and features an enhanced consumer search facility. A customer/business portal will also be available over the forthcoming months to handle all aspects of communications between consumers and trade, from quote to payment. Since 2005, TrustMark has been a champion of consumer protection and when a consumer sees the TrustMark logo they will know the business they are engaging with is technically competent and has made an additional commitment to customer services and trading practices. This will be the case regardless of the type of work they require on their property. ‘NICEIC, ELECSA and CCUK to provide training on the dangers of working with asbestos, Survey reveals top plumbing issues, Bursary helps more women in to the electrical industry, Seaward goes on the road with PAT workshops, Vehicle tracking sparks improvements in the electrical industry and London boroughs get £1bn council homes construction boost‘. Free webinars offer a quick fix to keep your skills up to date. 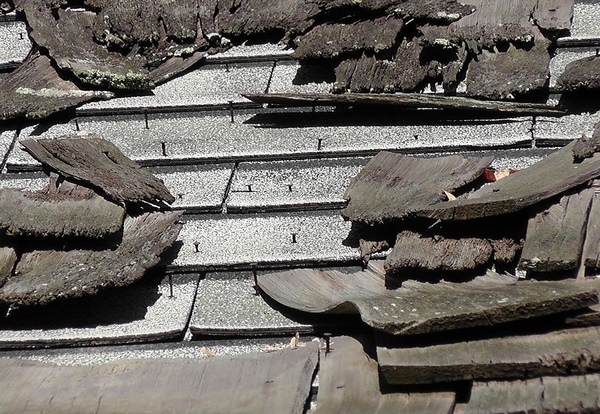 Figures from the Health and Safety Executive suggest that 14 people will die prematurely every day as a result of being exposed to asbestos – this equates to around 5,000 deaths a year. It is the single greatest cause to work related deaths in the UK and is considered a major factor to many types of health complications. Although receiving a total ban in 1999, there are an estimated 12.5m households that could still potentially contain asbestos. Working with CCUK, NICEIC and ELECSA contractors can take online or face-to-face training in asbestos awareness courses, fully certified by the UK Asbestos Training Association (UKATA). Mark Smith, marketing director for NICEIC and ELECSA said, “Tradespeople need to know they are working in a safe environment. These figures are a startling reminder of the work that needs to be done to protect those who are at greater risk of being exposed to asbestos. Billy Quinn, managing director for CCUK, added, “We are delighted to be working with NICEIC and ELECSA, who share the same passion to help standards and improve knowledge amongst construction workers. The partnership means NICEIC and ELECSA contractors can take online training at a special discounted rate. Anyone looking to take the course should visit centralcompliance.uk/certsure. Dripping taps are the number one plumbing issue in the UK, with more than one in 10 homeowners experiencing the issue in the past five years, according to a new Water Regulation Advisory Scheme (WRAS) study. 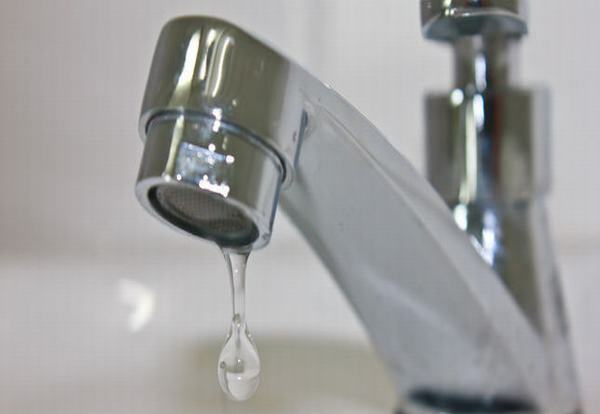 Even a small trickle from a dripping tap can waste water and money and, according to WaterSafe, fixing a dripping tap could save homeowners at least £18 a year if they are on a water meter, as well as 5,500l of water. The study of 2,000 homeowners also found that leaking pipes, clogged drains, and a continuously running toilet topped the list of homeowners’ complaints. NICEIC has been helping more women into the electrical industry through its Jobs for the Girls Bursary Scheme. The scheme offers grants to women already working in the industry or looking to get a helping hand at the start of their career. It is open to females of all ages and designed to cover training or other associated costs up to a maximum of £500. One of those who benefited from a bursary was 40-year-old Amanda Pugh from Buckinghamshire. She used the funding to set up a website for her business Amanda Electrics. “I was just starting out on my own and although I had help with some of the training and was fortunate to have a good amount of tools I still had to pay for additional courses, books, registration, insurance, website fees, business cards, work clothing and other tools. Coleen Everitt, runs Alto Electrical in Lincolnshire. She used the money to buy materials for circuit boards, which she custom builds and uses for talks in local schools and colleges. “I am a keen advocate of promoting a career in the trades to young boys and girls. By offering a hands-on practical lesson I want to encourage both boys and girls into the construction sector. Another one to benefit was 18-year-old Britany Douglas. She had just started an apprenticeship and used the money to buy tools and the latest 18th Edition wiring regulations. In the six months since launching the bursary, NICEIC has provided £5000 of funding to more than 20 women. The youngest applicant was a 17-year-old just staring out at college and the oldest was a 55-year-old who wanted to get back on the tools after a career break. The average age of all applicants was 29 – perhaps an indicator of the later age that women traditionally come into the electrical industry. Emma Clancy, CEO of NICEIC, commented: “Over the last seven years we have seen a marked increase in the number of women who come to us looking for help and assistance. Employers have also been in touch to see how they can attract more female candidates. “Where possible we have provided access to training, technical information and opportunities with our registered contractors, but it has not always been possible to assist those who just need a helping hand along the way. “Through this bursary we have been able to offer practical and financial support and hopefully create a smoother route into the industry. NICEIC is committed to encouraging more women in to the electrical industry via its Jobs for the Girls campaign. Applications for the 2019 Jobs for the Girls bursary will open in Spring next year. Polypipe, the manufacturer of underfloor heating (UFH) systems, has officially launched a £250,000 training facility to inspire the next generation of budding heating professionals. The Doncaster-based firm held the official opening of the state-of-the-art Polypipe Professional Development Centre (PDC) at Kirk Sandall on Tuesday, September 25. The facility features specially-designed training spaces to give trainee and experienced plumbing professionals the opportunity to improve their practical skills. It is set to become one of the UK’s leading training centres for professional heating engineers, installers, plumbers and merchants. 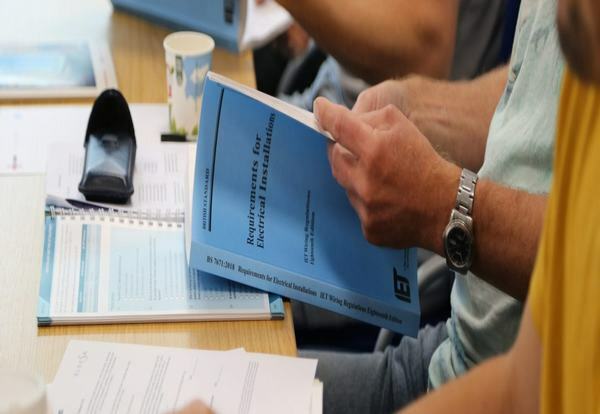 The courses on offer at the PDC include BPEC-accredited courses on installing warm water UFH, apprenticeship training and guides to domestic ventilation product installation. The PDC will also now be home to the technical design team and the new underfloor heating senior management team. Rachel Smith, Polypipe Underfloor Heating general manager, said: “We want to further strengthen our position as the market leader for UFH solutions and a key part of that is the level of service and support we offer to our trade customers. Offering accredited training and development for heating professionals is a key part of that support. Tracy Richardson, president of Chartered Institute of Plumbing and Heating Engineering (CIPHE), presented a plaque to commemorate the centre being granted CIPHE-accredited status. Polypipe has a strong focus on investment in professional training and development, having relaunched its Registered Heating Engineer Network earlier this year, which provides heating engineers and plumbers with free access to training courses and events, and helps small firms generate new business. Fourteen contractors are preparing to do battle to keep their places on Suffolk County Council’s construction framework. The council is expected to formally call-up firms to prequalify next month for the framework renewal. The four-year framework, which is also open to councils across the East of England, will be used for public sector building works, and is expected to be used for around £750m of spending. Morgan Sindall, Wates, RG Carter and Barnes Construction presently hold the high-value work bands. This time around, the council plans to introduce four value bands to replace the three presently used. This exercise will be tendered and managed by council-owned company, Concertus Design and Property Consultants. The framework is set to be operational from 2019 June and will govern the procurement of a full spectrum of new build and refurbishment schemes in education, health and community. These may include libraries, civic office developments and programmes for Suffolk Fire and Rescue. In addition to the contractors undertaking traditional construction and refurbishment works, the framework can be used for specialist trades via the main contractor. 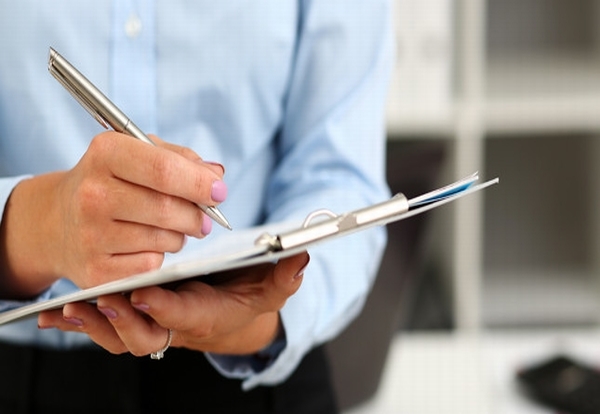 A prequalification questionnaire will be released next month. To express an interest email Concertus. Designed to fit in with challenging time constraints, which can often make attending relevant training courses difficult, the latest series of webinars from HBM, which will take place in November 2018, will provide advice and focus on a variety of topics. Starting off the week with “Requirements of Modern Automated Systems”, on Tuesday 13th November 2018, participants can learn more about precise measurement technology, real time control and control functions, and discover how simple operation without programming can be easily achieved. Following on with “Efficient Data Acquisition with Fast DAQ Software” on Thursday 15th November, participants can further their knowledge of HBM’s new DAQ software EVIDAS. Providing an informative overview of the software, a short live demonstration will also help users to clearly see how data can be quickly and simply acquired. Finally, on Friday 16th November 2018, “Strain Gauge Methods for Measuring Residual Stress” offers a brief introduction into strain gauge methods, with a particular focus on hole-drilling and its application in compliance with the ASTM E837 standard. 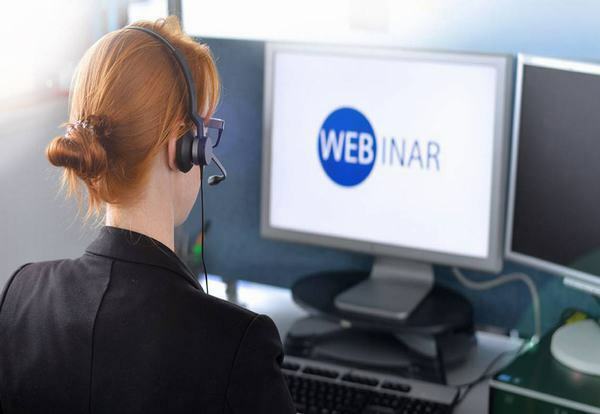 Each webinar, which will commence at 9am (GMT) and usually takes a maximum of 30 minutes, can be easily assessed at a later date or simply used as a refresher course. As an added benefit, all registered attendees will receive a link to the webinar, via email, after the presentation. Isle of Man-based Artisan Real Estate has got the planning green light to build a hotel and leisure quarter on the Glasgow waterfront. 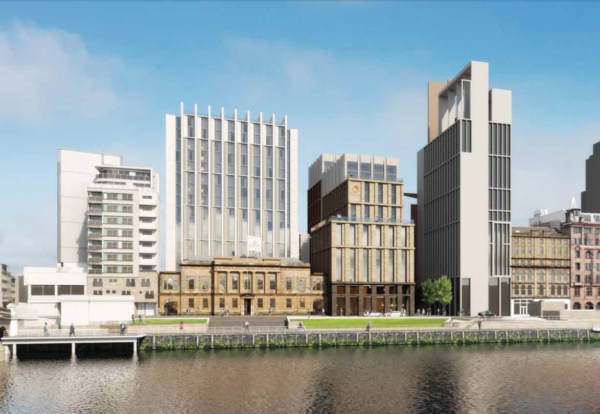 Contractor McAleer & Rushe is on board to deliver the £90m plan to redevelop the historic sandstone Grade A-Listed Custom House and build a 300-bed four-star hotel alongside with another 162-room aparthotel. The site sits on the north side of Clyde Street, facing the riverfront, just south of Glasgow’s City Centre and Buchanan Street. Artisan has agreed on a leasing deal with the Dalata Hotel Group for the four-star hotel and conference facilities while complementing will be an Adagio-run aparthotel together with street-level bars and restaurants. Glasgow-based Sheppard Robson is the architect for the scheme, with Caldwell Consulting delivering services design and Quattro civils and structural engineers. ELECTRICAL industry professionals and those new to PAT testing are being offered workshops by the UK’s leader in PAT testing equipment, Seaward. The “Understanding and Implementing PAT” half-day workshops will be held at 12 venues across the UK from October 12 to December 7 and include a Q&A session. The new workshops will cover topics such as legal requirements, industry guidance and common practice, how to perform PAT risk assessments, how to run an efficient PAT system and how to improve safety standards. There will also be an opportunity to get answers to frequently asked questions, technical support and advice – as well as a chance to try out Seaward’s latest products. Kevin Smith, category manager at Seaward, said: “We believe our customer care is second to none and this is just one of the ways we can help those working in the electrical testing industry. “PAT testing is vital to keep people safe, and we take our responsibility as part of the industry very seriously. Delivered by experts from Seaward, the workshops will visit: Nottingham (Oct 26); Portsmouth (Oct 26); Stoke (Nov 9); Potters Bar (Nov 9); Bristol (Nov 16); Leeds (Nov 16); Warrington (Nov 23); Birmingham (Nov 23); Dublin (Nov 28); Peterborough (Nov 30); Belfast (Nov 29); Heathrow (Dec 7). Similar sessions previously run by the company have proved very popular and those who want to attend should register early to avoid disappointment. At every workshop attendees will also have the chance to win a Prime Test 100 PAT tester. For more details or to register go to www.seaward.co.uk/patworkshops. With around 2,000 young children ending up in A&E each year with scalds from bath water, the UK body for approved plumbers is raising awareness on how to prevent burns and scalds in homes, schools, hospitals and care homes. According to The Royal Society for the Prevention of Accidents (RoSPA), hot bath water is responsible for the highest number of fatal and severe burn injuries in young children and an average of 15 pensioners die each year from tap-water scalds. One of the main reasons scalding occurs is that hot water is stored at 60°C or above to limit the growth of harmful Legionella bacteria. However, if water comes out of the tap above 60°C, people can suffer third degree burns in just six seconds. Therefore, WaterSafe is raising awareness of the importance of using thermostatic taps and mixing valves (TMVs) to support National Burn Awareness Day on October 17. The valves are particularly important for larger plumbing systems in places such as schools, care homes and hospitals. TMVs allow water to be stored at a high enough temperature to kill harmful bacteria but reduce it to a safe temperature as it comes out of the tap, by mixing it with the cold supply. They can cost as little as £30 and be retrofitted to older systems. 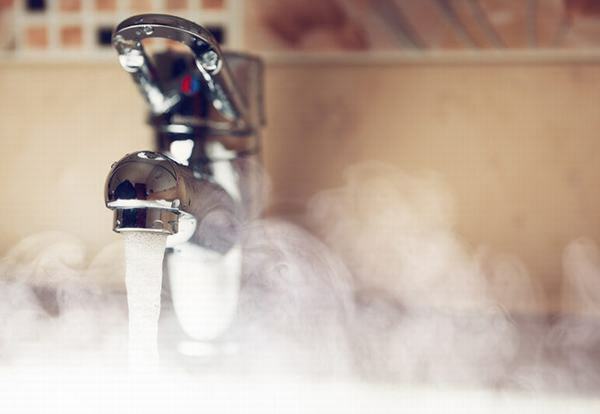 Julie Spinks, director of WaterSafe said: “While TMVs do need servicing annually, this is a small price to pay to reduce the risk of hot water burns. “It only takes a few seconds for hot water to cause serious injury, which is why it’s important to know a plumber you employ is competent and qualified to install plumbing correctly, keep your tap water healthy and those in your care safe. Using fleet tracking hardware & software to monitor activity and performance online is a proven mechanism for significantly reducing fuel overheads and insurance costs, as well as improving vehicle and asset utilisation and driver productivity. All of which has a direct impact on the bottom line. Back-office teams can easily locate and track vehicles in real time, giving them the visibility required to optimise driver itineraries, avoid traffic congestion, allocate drops and task more effectively in order to reduce journey duration’s, time spent idling, fuel consumption and CO2 emissions. Real time, in-cab coaching systems that alert drivers to harsh or intemperate driving behaviour also have an incremental effect on running costs. Extensive research has demonstrated that the addition of an in-cab coaching device can reduce fuel consumption by an additional 5-6%. Telematics solutions provide accurate fleet data that can be leveraged to improve customer service. Fleet data enables companies to provide accurate arrival times and live updates to help keep customers happy! Apart from the obvious benefits, this can also boost your brand’s reputation and improve customer retention. Fleet managers can pinpoint the location of any vehicle at any time and can even track how long is spent at each stop-off point. This level of precision allows fleet managers and dispatchers to prioritize work based on driver proximity, skill-level and kit on-board, whilst keeping an eye on the time spent at one job can help maximize productivity and working efficiency. These data-led insights offer the ideal solution to maximise output, whilst maintaining top-level customer service, especially in a the highly competitive industry. 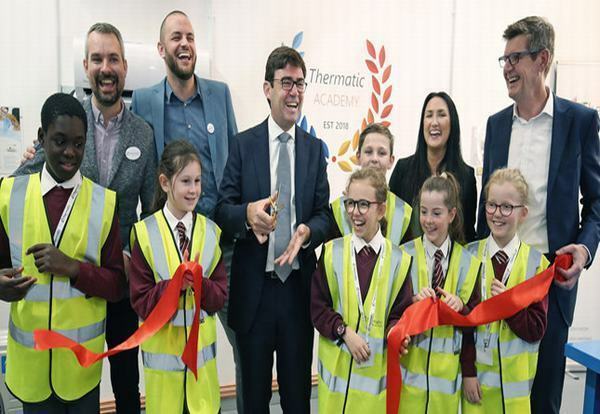 Greater Manchester Mayor Andy Burnham emphasised the importance of new training facilities as he opened Thermatic’s new Academy in Salford. The Academy has been created by Thermatic, and developed in partnership with the Salford Foundation, which supports social and academic development of young people and adults in Greater Manchester. Its aim is to help address the growing skills shortage in the engineering sector and to make engineering more appealing and accessible for young people, regardless of gender. Mayor Burnham said: “Facilities such as Thermatic’s are not only providers of knowledge and skills but they are also economic drivers, because they help increase opportunity, improve productivity, reduce wealth inequalities and help meet the need of the communities and region in which they are based. Thermatic’s hope is to encourage a new perception of the engineering industry and the new academy is part of their ongoing ‘Women in Engineering’ campaign, which has already seen two new female HVAC engineers taking up roles. More needs to be done to help engineers raise concerns about safety in order to avert future failures, says a new report from the Institution of Civil Engineers (ICE). The risk of structural failures could be reduced by the creation of a new organisation where engineers could raise and share concerns about safety, says the report. 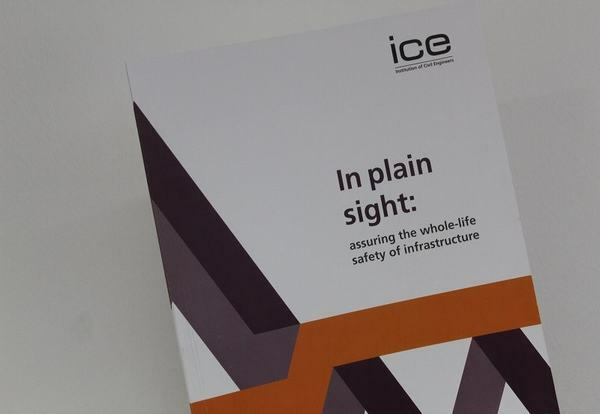 The ICE should play a bigger role in empowering engineers to come forward with their concerns as well as information about near misses and catastrophic incidents about infrastructure, according to the report, In Plain Sight. This includes doing more to highlight and inform its members about whistleblowing options. The report was commissioned last year following the Grenfell Tower fire disaster. Tim Broyd, then-ICE president, asked Professor Peter Hansford to chair a panel tasked with considering the state of current infrastructure and advise on whether any significant risks are ‘hiding in plain sight’. The report recognises the need to ensure confidential reporting of issues, near-misses and catastrophic incidents. It calls on the ICE and other professional bodies to scope, sponsor and find funding for a sector-wide organisation, building on the work of Structural-Safety. The report recommends the body’s remit should allow for concerns to be raised about design, construction and long-life use, and should also permit for the sharing of information to allow the wider industry to learn from such concerns. It recommends the Institution do more to highlight existing information and avenues open to engineers who want to raise concerns about infrastructure, including sharing information about relevant prescribed bodies, and advising on appropriate wording when raising concerns. Hansford said: “As professional engineers, we already know many of the factors that can contribute to the risk of infrastructure failure and we must remain diligent and critical to ensure they don’t stay hidden. This report is about empowering us to have a voice throughout the whole life of the infrastructure we design, construct and operate. This final report challenges ICE, as a key industry institution, to lead on efforts to look at the industry’s risk of infrastructure failure. Work with professional bodies to scope, sponsor and find funding for a sector-wide organisation to review, comment on and disseminate lessons from concerns, near misses and catastrophic incidents, building on the work of Structural-Safety. run an annual event with the Health and Safety Executive on infrastructure near misses, incidents or forensic reports, to promote understanding and identify sector-wide responses. Encourage engineers to highlight unaddressed infrastructure concerns, risks and near misses to their management and provide guidance via the ICE website on suitable confidential reporting channels should these become necessary. establish an electronic system that captures ICE members’ Continuing Professional Development (CPD) activities, increasing tenfold the CPD returns audited annually; and work with the Engineering Council to explore introducing periodic mid-career peer reviews. identify and communicate mandatory risk-related topics, themes and reading lists for members to include in their annual CPD learning. strengthen awareness of ICE’s Code of Professional Conduct through guidance, education, disciplinary processes, sanctions and publicity. The report will be presented at the ICE Council meeting in December, where a decision to endorse the recommendations will be made. Mayor of London Sadiq Khan has confirmed more than £1bn in funding for 26 boroughs in the capital to ramp up the construction of council homes. It will see councils increase their building rates over the next four years to five times greater than existing levels. Khan said: “London’s housing crisis is hugely complex and has been decades in the making. “There is no simple fix, but council housing is the most important part of the solution. “Londoners need more council homes that they can genuinely afford, and local authorities have a fundamental role to play in getting London building the homes we need for the future. Newham was the biggest beneficiary with a £107m injection. Construction workloads are continuing to grow despite a credit squeeze and the looming spectre of a messy Brexit. Results of the Q3 RICS UK Construction and Infrastructure Market Survey show 20% more chartered surveyors reported that their workloads had risen rather than fallen – up from +15% in Q2. Private housing and infrastructure workloads reported the strongest rise while activity across the private industrial and public non-housing categories improved modestly with net balances of 9% and 11%, respectively. A soft patch was highlighted in public housing where the pace of workloads slowed from +12% to +7%. Regionally, workloads are now reported to be increasing across all areas with notable acceleration in the Midlands and East. Financial constraints are reported by 75% of surveyors to be by far the most significant brake on growth with firms reporting difficulties in accessing bank finance and credit. Surveyors reported growth in the number of new business enquiries received and 42% more respondents saw more new hires in their company over the last three months. But the outlook for the economy as a whole has led to a reduced optimism for the construction sector over the year ahead as Brexit casts its shadow. Jeffrey Matsu, RICS Senior Economist said: “While ongoing capacity constraints have supported steady workload activity, the outlook going forward is far from clear. Hew Edgar, RICS Head of Policy added: “Despite challenging market conditions and Brexit looming, overall construction output in the UK is up on the second quarter of the year, and in particular it’s very positive to see that workloads for much needed new homes and infrastructure are increasing. “We’ve long called on the government to secure funding to ensure Britain’s exit from the European Union doesn’t impact the delivery of vital infrastructure schemes, and encouragingly our latest survey revealed that rail, roads and energy are the subsectors expected to see the strongest growth in output over the coming twelve months, unsurprising given recent announcements in these sectors. A third of UK adults (33%) don’t know the signs of an unsafe gas appliance, according to Gas Safe Register’s latest research. The signs to check for if a gas appliance is unsafe were recognised by some people as; a lazy yellow flame (33%), the pilot light keeps going out (32%), black marks or stains on or around the appliances (29%), and increased condensation inside windows (12%). Worringly, one in six adults (17%) also admitted that they take no steps at all to ensure their home’s gas appliances are safe. However, nearly half (47%) said they have their gas appliances checked annually by a Gas Safe-registered engineer, almost two in five (38%) have an audible carbon monoxide alarm, and nearly one in three (29%) know to check that their gas engineer is on the Gas Safe Register. ‘FAMILY MATTERS’ – Unsafe appliances can be fatal; Gas Safe Register is helping families know the signs to look out for to stay gas safe. ‘CARBON MONOXIDE (CO) AND GAS SAFETY RISKS’ – With CO gas known as the silent killer, it is important we know these symptoms. ‘RENTING RESPONSIBILITIES’ – Know your legal rights and responsibilities when it comes to renting a property. ‘ILLEGALS’ – Only registered engineers can legally work on gas appliances. Stay on the right side of the law and stop energy theft. ‘EVERYDAY HEROES’ – Celebrating gas engineers as everyday heroes who keep UK families gas safe. ‘DON’T DO IT YOURSELF’ – Leave gas work to the experts – registered gas engineers. ‘SAFETY AT HOME’ – How to stay safe at home and spot unsafe gas appliances. Jonathan Samuel, chief executive of Gas Safe Register said: “This Gas Safety Week we are encouraging families to learn about why keeping your gas appliances working safely is so important. Unsafe flexible cord, intended for use in domestic and industrial applications, has been found on sale in the UK, prompting the ACI to issue a fresh alert to the electrical supply chain. The latest find of substandard flexible cords is marked ‘Made in Turkey’ and ‘Ermaks’. Samples came to light following the Initiative’s recent `Counterfeit Flexible Cords’ campaign, which alerted the electrical supply chain to dangerous industrial flexible cords. According to the ACI, in two separate instances, 1.5mm² and 2.5mm² three-core PVC insulated and PVC sheathed ordinary duty flexibles have been submitted for testing to the ACI. 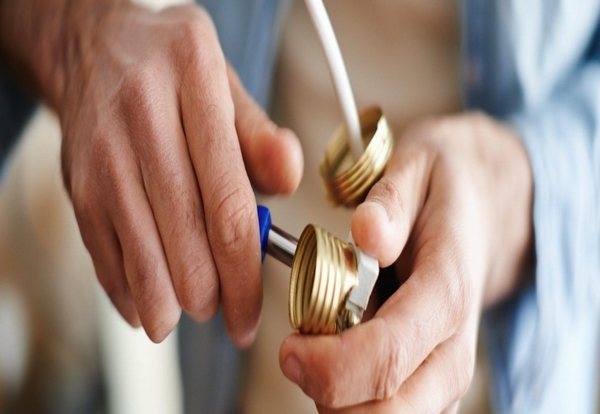 Testing showed that the cable’s conductors were Copper Clad Aluminium (CCA). This is believed to be a deliberate attempt by the manufacturer to reduce the amount of copper within the core and in doing so the cost of the cables, says the ACI. The flexible cord could potentially be used in domestic extension leads and industrial connection leads which are exposed to constant flexing during their everyday use. Testing showed conductor resistance to be higher than that specified by the British and European standards that the cord claimed to meet. The reduced copper content results in the cords burning out whilst in use, creating a significant fire risk to the user. The reduction in copper content of the 2.5mm² conductors meant they only just met the maximum safe current carrying capacity of a 1.0mm². CCA conductors, being predominantly aluminium, are not as robust as copper conductors and break easier during normal flexing. This ultimately results in individual strands breaking leading to no continuity or a hot spot within the cable as electricity arcs between the gap where the strands have broken. ACI is warning that any cable or flexible cords marked ‘Made in Turkey’ and `Ermaks’ should not be used and should be tested by an approved electrician. Samples can also be sent to the ACI (minimum 5m length) for testing. 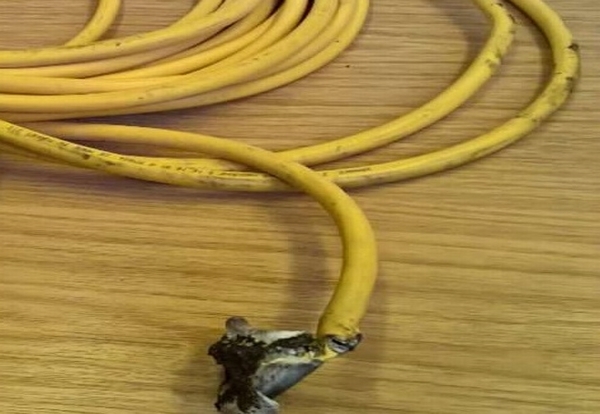 For further advice on this issue and other substandard cable can be found at aci.org.uk. 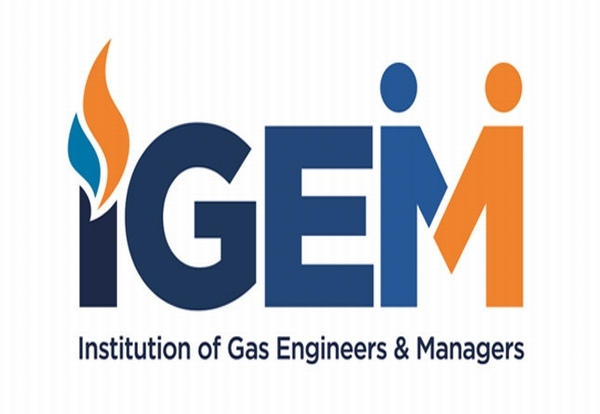 The Institution of Gas Engineers and Managers (IGEM) has published a new edition of the Gas Industry Unsafe Situations Procedure (GIUSP). The update came into effect on 1 June 2018 and supersedes Edition 7.1 of the GIUSP, which has now been withdrawn. 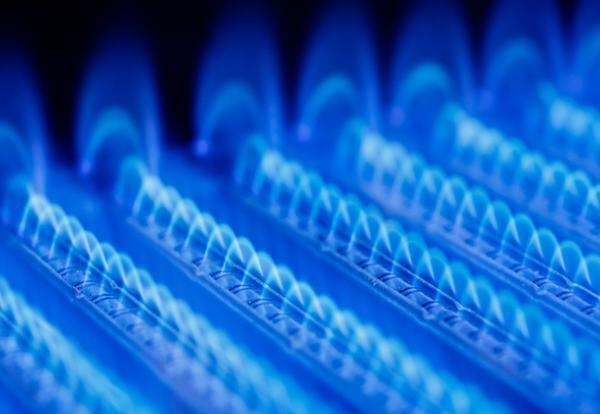 The procedure provides guidance to Gas Safe-registered businesses/engineers for dealing with unsafe situations in domestic and non-domestic premises supplied with natural gas or liquefied petroleum gas (LPG). This guidance covers how registered engineers should make visual assessments on any appliances/installations they encounter or work on, and outlines the instances where appliances/installations deemed to be unsafe should be classified as either ‘Immediately Dangerous’ or ‘At Risk’. IGEM took over legal ownership of the Unsafe Situations Procedure in February 2017, under the governance of its Technical Co-ordinating Committee. This new GIUSP update is the first to be published by IGEM since that date. Previously, the standard was overseen by a working group of stakeholders from across the industry. IGEM has reportedly kept the new document as similar to the previous version as possible, in order to prevent any confusion. This latest update makes only minimal changes to the procedure, including bringing the layout and some of the wording into line with other published IGEM standards. The phrase ‘responsible engineers’, used in the previous edition, has been changed to ‘competent engineers’, to clarify that only those deemed to be legally competent are allowed to work with gas and LPG appliances. Minor changes have also been made to some of the scenarios listed in Table 1: Giving Guidance on Particular Situations and How To Categorise Them, to provide clarity on the requirements of certain situations, where queries have been made by gas engineers. For example, under Table 1, Scenario 3.13 refers to visual assessments of gas pipework located within a cavity wall or void, but which is not within a purpose-designed duct in accordance with appropriate standards. This situation should be classified as ‘At Risk’, however the procedure has been amended to note that this does not include instances where un-sleeved pipework passes directly across a cavity by the shortest possible route. Changes have also been made to clarify the visual risk assessments process, but the required process itself has not been changed. No changes have been made to the classifications published within this procedure. All registered engineers have a duty to keep abreast of all changes to this regulation. Any person found to be completing work unsafely could face prosecution by the Health & Safety Executive under the Gas Safety Installation and Use Regulations (1998). This latest update to the GIUSP has been made in conjunction with the Gas Industry Unsafe Situations Procedure working group, which contributed to the changes that have been made. The procedure is available to view for free on www.igem.org.uk and can also be viewed by registered gas engineers on www.gassaferegister.co.uk. The procedure can be purchased in hard copy from www.gassafetyshop.co.uk. A state-of-the-art bone cancer centre at The Robert Jones and Agnes Hunt Orthopaedic Hospital (RJAH) puts energy efficiency first, thanks to CP Electronics’ Vitesse Plus standalone lighting control system. The Montgomery Unit at RJAH treats patients with bone and soft tissue sarcomas, bone metastases, benign bone and soft tissue tumours and tumour-like conditions. It is one of only five bone cancer centres in the UK and was launched as part of the £15.1 million theatre and ward development in August 2016. To maximise its energy efficiency, the unit uses a variety of CP Electronics’ lighting control solutions across the whole building. This includes Vitesse Plus, along with passive infrared (PIR) and microwave presence detectors, across the corridors and patient wards. For patients and hospital staff, CP’s lighting control system provides simple, intuitive lighting controls and can provide manual scene setting within wards. These controls prevent unnecessary lighting usage and will therefore assist the unit with vital energy savings. Vitesse Plus includes pre-programmed lighting configurations, making installation simpler, too. The presence detectors will control light levels in corridors based on occupancy, gradually dimming or increasing the lights based on natural light levels and switching the lights off after a set time. As a mixed-use building that operates 24 hours a day, the Montgomery Unit needs lighting to reflect the diversity of staff and patient activity. CP Electronics worked closely with the main contractor Briggs and Forrester to devise a system that would intelligently light each area, dependant on its function, maximising the unit’s energy savings. Alun Bunday, healthcare team leader at Briggs and Forrester, says, “As only the fifth specialist bone cancer centre in the UK, the Montgomery Unit is expected to be busy and will serve many people daily. 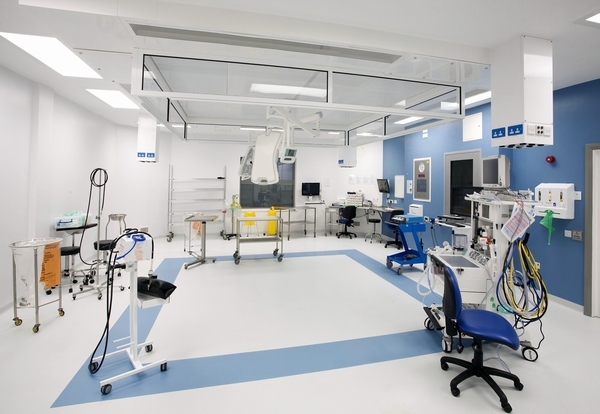 To this end, we prioritised the design around patient comfort, and making the unit as cost-efficient as possible. Vitesse Plus, which has been installed throughout the Montgomery unit, uses a full seven-channel lighting control system that can perform different lighting functions. Each channel controls the detectors based on pre-set configurations. As well as energy savings, CP’s lighting control systems are also wired to prevent the lights from going off in the event of a fault. The Montgomery Unit’s lighting is supplied through two different incoming power supplies, essential and non-essential lighting. Enabling this functionality is CP Electronics’ Vitesse Plus lighting control modules (LCM). The LCMs allow lighting detectors to be supplied from the two different power supplies. This results in two LCMs feeding the controls to the lighting to each room or area, but only a common detector to each LCM. In addition to the detectors operating from two LCMs, the switches also operate both LCMs in the event of failure. This doubles up against fault protection and is just as important for the hospital in maintaining its lighting is always working. For areas where lighting is not always required, such as common areas and corridors, CP’s advanced presence detectors will provide lighting ‘on demand.’ These devices sense movement in the detection zones, and then activate the lighting accordingly. Providing this detection includes CP’s MWS3A adjustable head microwave detectors. The adjustable head and detection sensitivity on this device provides a long detection range of up to 30m. “As we know, hospitals are busy facilities, and any downtime can cost dearly,” says Paul Chesworth, northern regional sales manager for CP Electronics. “It was an imperative part of the specification that the lighting should not fail, be easy to manage and maintain, as well as save energy and cost where possible. Briggs and Forrester has a longstanding relationship with CP Electronics, and has often used CP’s intelligent lighting solutions on a variety of different projects. “CP Electronics has always been a trusted supplier to Briggs and Forrester, thanks to its in-depth knowledge of lighting controls, excellent customer service and support when required,” adds Alun Bunday. Morgan Sindall has completed successful trials of the Microsoft HoloLens mixed reality headset to perform installation checks on site. The Construction & Infrastructure division and consulting arm BakerHicks tested the system at the new Ashmole Primary School site in Southgate, London. BakerHicks’ specialist BIM team projected their computer model onto the mechanical, electrical and public health (MEPH) installations on the site. A customised app allowed the project team to then view and check a section of the project’s MEPH work. The team used an image tracker to superimpose the holographic BIM model onto the soffit of the ceiling. This allowed the project team to walk through the building wearing the Microsoft HoloLens headset, which acts as a self-contained holographic computer, to check and audit the actual built product against the original design. The headset can record what the wearer is seeing and is fully interactive, enabling any changes to be communicated to the design team. 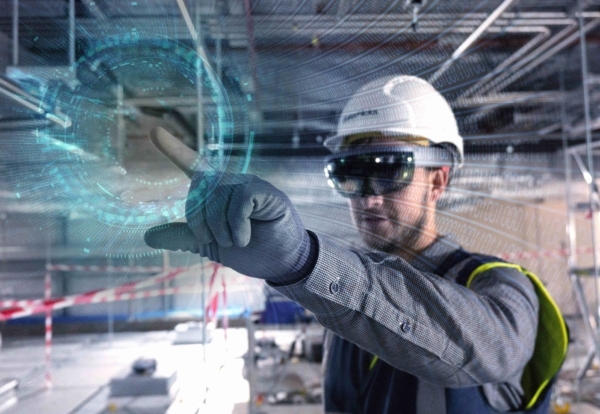 Trevor Strahan, head of BIM at BakerHicks said: “The success of this trial marks an exciting step in our journey in exploring the possibilities HoloLens technology could bring to our industry. “We have been quick to recognise the benefits that ‘virtual world’ technology can deliver and apply it in a ‘real world’ environment. Steffan Speer, Morgan Sindall Construction & Infrastructure’s business improvement director said: “The benefits mixed reality could bring to our teams and customers are vast – including remote conferencing, construction design and installation reviews along with the presentation of construction models via holograms. Galliford Try has gained planning for the second phase of the Gallions Reach housing scheme in east London. 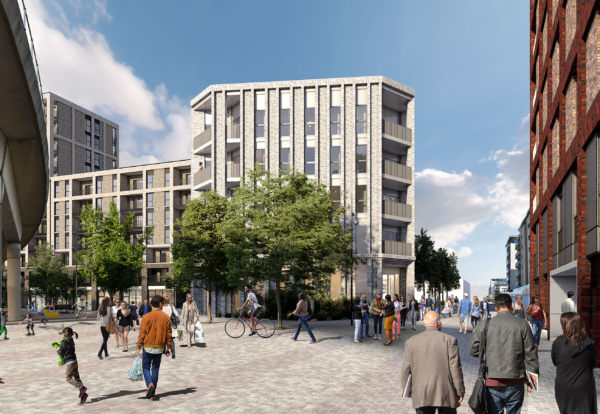 The planning decision grants permission to construct 241 new homes in three new apartment blocks, alongside a new public square as well as shops and cafes. Gallions Quarter forms a key part of the wider Royal Albert Wharf regeneration. Once complete, the entire site will provide in excess of 1,800 new homes, creating a vibrant new neighbourhood. 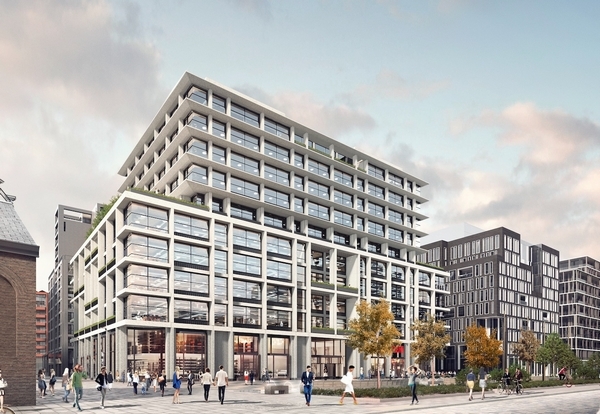 Stuart Brodie, Managing Director of Galliford Try Partnerships London, said: “Gallions Quarter has a major role to play in the wider regeneration here at Royal Albert Wharf. 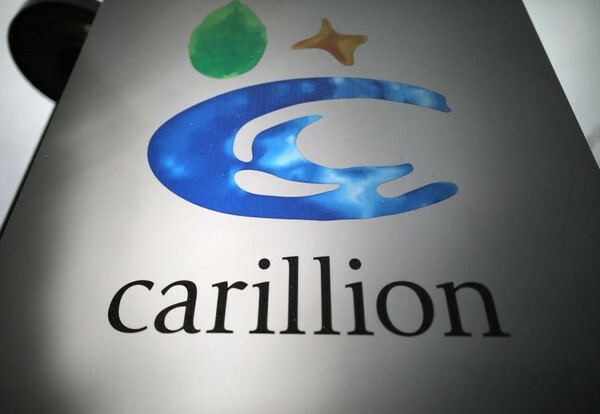 The taxpayer looks set to pay £65m to former Carillion workers who were made redundant following the company’s collapse in January. So far around £50m has been paid out for actual claims received, with the redundancy payments office expecting the final bill to reach £65m. All employees of Carillion were eligible to make a claim for redundancy, including those transferring to new suppliers. Total redundancies stood at 2,787 or 15% of the original 18,500 strong workforce in August when all of Carillion’s contracts had been transferred. Around 13,945 staff or 76% of the pre-liquidation workforce transferred to next suppliers. A further 1,272 former staff left the business during the liquidation through finding new work, retirement or for other reasons. Around 240 core employees are currently being retained to help close out the remaining activities. The sum was revealed in a Freedom of Information request to the Insolvency Service by union Unite. Accountancy firm PwC, which was engaged by the Insolvency Service to break up Carillion and transfer its outsourcing contracts to new providers is expected to have earned around £50m from the company’s collapse. The taxpayer will also have to pick up the bill for the work to complete Carillion’s key strategic projects including the Royal Liverpool Hospital and the Midlands Metropolitan Hospital. The full cost of this project bailout has still to be quantified. Unite assistant general secretary Gail Cartmail revealed the cost to the taxpayer during a speech yesterday at the Labour party conference. She said: “These revelations further underline why the government must order a full public inquiry into Carillion’s collapse to not only understand who was responsible for the greatest corporate failure in UK history but also the total cost to the taxpayer. 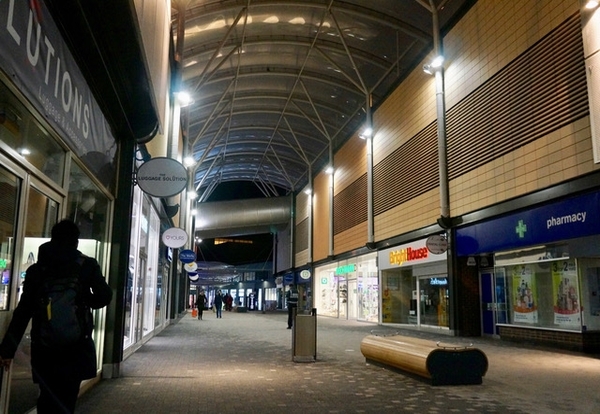 Light Efficient Design UK has announced its retrofit LED lighting solutions have enabled a popular and long-established outdoor shopping precinct to make major energy savings in the first year of operation and see lamp replacement costs plummet. The Hampshire-based centre attracts high daily footfall from shoppers visiting such well-known retail outlets as Argos, Boots, Costa coffee, KFC, Primark, Sainsbury, and WH Smith. As part of a recent major refurbishment, there was a requirement to upgrade the existing metal halide floodlighting to LEDs. This was to create a brighter ambience for shoppers, as well as to reduce energy and maintenance costs. Following an evaluation of potential solutions on the market, an LED retrofit re-lamping approach was selected. 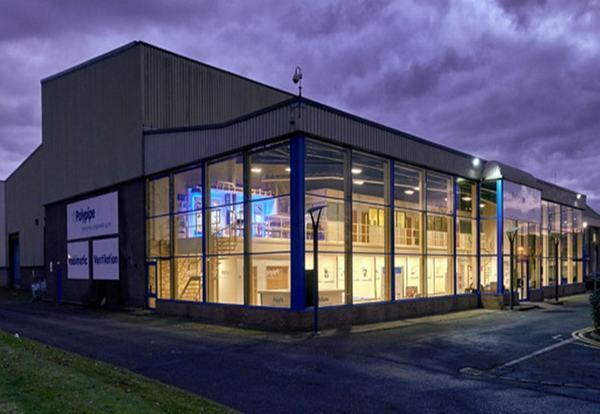 Local wholesaler CRS recommended the LED-8087 retrofit from UK-based Light Efficient Design, which was chosen for its high performance and cost-effectiveness. Not only did this allow retention of the existing and still serviceable fittings, ensuring immediate savings to be made on the labour required, it also offered a five-year lifetime warranty, providing major future savings on lamp replacement costs. Approximately 40 100W wall-mounted metal halide lamps have been replaced with 30W Light Efficient Design UK LED-8087 retrofit lamps. The existing reflectors in the fitting were removed as the interior space was limited and was not necessary due to the LED-8087’s unique and fully directional one sided design, which ensures optimal usage of all available light. Coinciding with Gas Safety Week last week, the Heating and Hotwater Industry Council has announced that its boiler manufacturer members have pledged to place gas safety messaging on their boiler packaging. 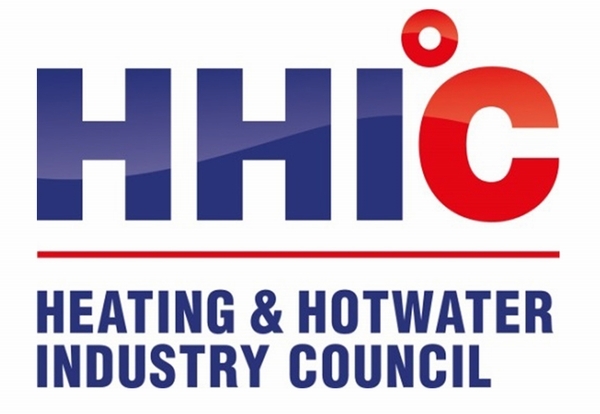 In response to a demand that has echoed among industry professionals and installers for years, the HHIC boiler manufacturers group has pledged to place the Gas Safety messaging on their respective packaging. The packaging will soon feature messages detailing that gas appliances must be installed by a competent, Gas Safe-registered engineer. Stewart Clements, Director of the HHIC, said: “Every person working in the gas industry has a responsibility to help raise awareness with consumers of the dangers and risk involved, in allowing somebody who is not trained, qualified, registered or insured, to work on any gas installation. The Institution of Engineering and Technology (IET) is urging all electrical professionals to ensure that they are using genuine copies of BS 7671:2018, The IET Wiring Regulations. The call comes as the IET has been made aware of a number of counterfeit PDF copies of its publications for sale and distribution through various channels in the past week. The IET is warning that following misinformation in these fake copies could be devastating for electrical professionals and the general public at large – with missing or corrupted information potentially leading to unsafe work being carried out which could result in fire, electric shock or even death in the most extreme cases. To help combat the counterfeit activity, an official hologram has been placed on the inside front cover of the IET Wiring Regulations. This makes it more difficult to counterfeit the guidance and easier for individuals to identify genuine copies of the IET’s books. The hologram contains the IET logo in two sizes and the word “GENUINE”. There are also extra identifiers, some of which can be seen with a magnifying glass. 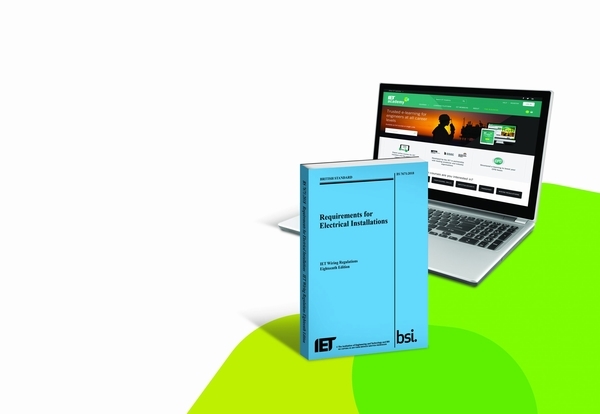 As a registered charity, the IET has a responsibility to uphold standards and ensures that all proceeds from genuine books go back into the organisation and the electrical industry – this meaning that it can continue to provide safe and reliable information for those professionals working in the electrical sector. Mark continued: “Ensuring that genuine copies of IET publications are being used by electrical professionals is important in order that correct standards are used to protect the public and those working in the industry from injury and fatality. For more information on what to do if you suspect you have a fake book please go to the IET’s website. New research from Logic4training, supported the Gas Safe Register, indicates over half (53%) of gas installers are still not showing their Gas Safe card on entering a customer’s home, with just 37% producing their Gas Safe card when asked to do so. The survey of 210 gas engineers working in both the domestic and commercial gas markets suggests that there is still some way to go in encouraging installers to proactively use their Gas Safe card, as well as a need to foster understanding among consumers. Around half (52%) of the gas engineers questioned felt that the Gas Safe card could be improved to make it more comprehensible for the general public, suggesting changes such as larger fonts, increasing the visibility of the engineer’s qualifications, using more accessible terminology and braille to make the card more inclusive. The importance of educating consumers on the meaning of the Gas Safe card was a recurring opinion among respondents, yet 15% of the gas installers questioned said they did not show their prospective customers that they were Gas Safe registered at all. Mark Krull, Logic4training’s Director, said: “Installers on the ground have a huge influence on consumers’ understanding of what it means to be Gas Safe-registered and the Gas Safe card is a great tool to facilitate this. 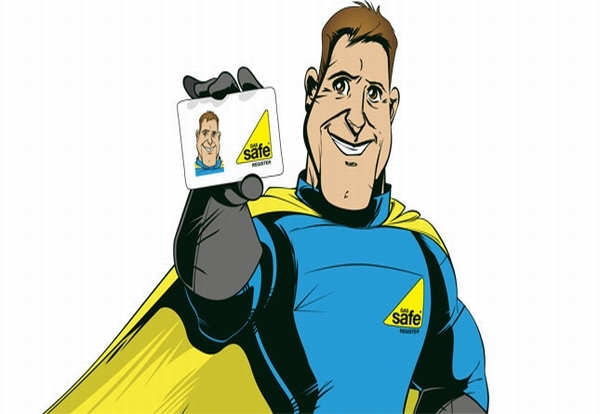 Engineers need to be showing their Gas Safe Card to all their customers, providing a brief explanation of the importance of being Gas Safe-registered and encouraging them to check the credentials of anyone coming to work on their gas appliances in the future. “Following the results of this survey, we encourage all gas engineers to review their use of Gas Safe Register branding across their promotional materials and ask themselves if they could use their Gas Safe card more proactively. Not only is this a good marketing exercise, it helps to separate the genuine qualified gas engineers from the cowboys giving the industry a bad name. To view a full report of the survey, visit here. 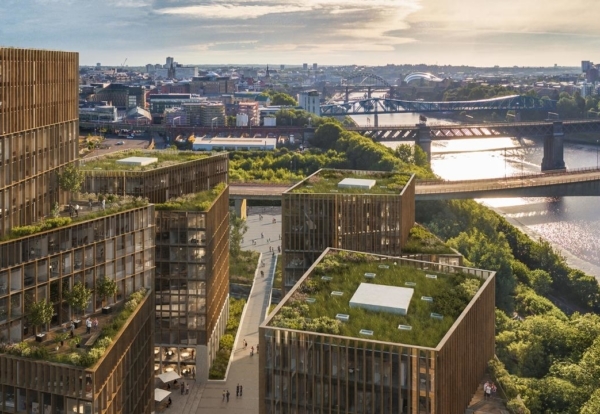 North Yorkshire developer Newby has lodged outline plans to deliver 1,500 homes, a hotel and more than 110,000 sq ft of commercial, community and leisure space along Newcastle Quayside in the city. 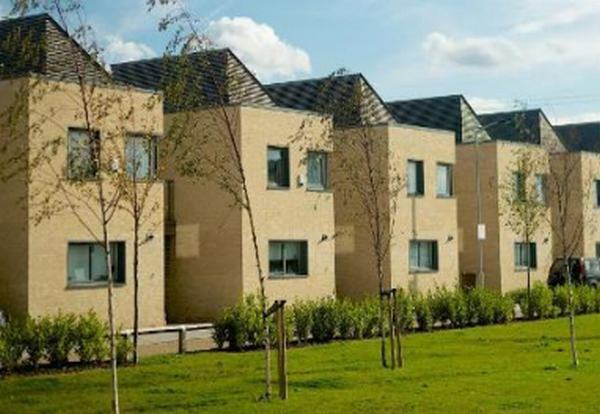 Its planned urban village on the former Calders site on Skinnerburn Road would be phased over 10 years and sustain around 260 construction jobs each year. Designed by architects Faulkner Browns, the Newcastle regeneration scheme would consist of around 15 blocks from three to 19 storeys high. Plans include building a new east/west spine road through the site. Site enabling works could start as early as next spring with the first plots ready for construction by the autumn of 2019. Nick Moody, director at Newby said: “Our development team has worked hard to devise proposals which will make Quayside West an attractive place to live, work and visit. 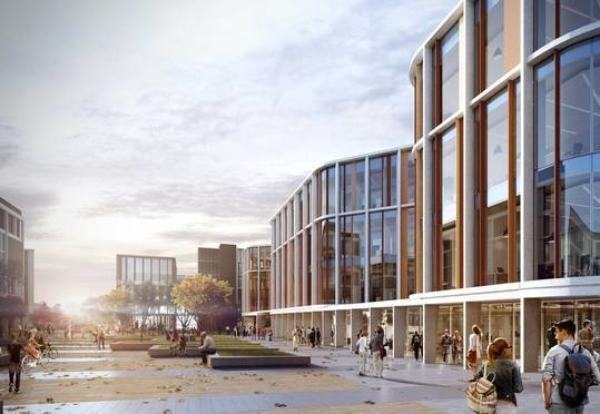 “The site is well-located, and our design will ensure that it connects to the city centre, the River Tyne and wider area. As a result, Quayside West could act as the catalyst for the council’s exciting plans to redevelop the Forth Yards area. 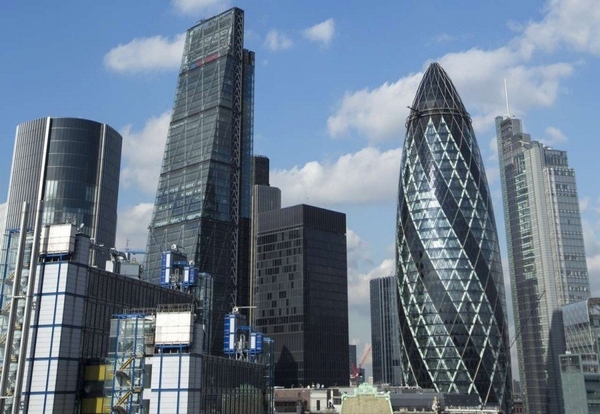 The City of London Corporation is considering banning construction work in the Square Mile on Saturdays. Currently contractors are allowed to work in the City on Saturday mornings from 8am to 1pm. But pressure from local residents and businesses forced the Corporation to launch a consultation on changing the rules. The consultation stated: “Saturday work for construction activity is considered the industry norm and has been accepted nationally. “It helps in practical waysas, for example, fewer people and vehicles are on the street at weekends so there are less public safety implications with works, and it is easier to move large vehicles and loads on streets. More than 750 responses have been received and a decision on any changes will be made in November. Detailed plans have been submitted for one of Scotland’s first major build-to-rent developments on the banks of the Clyde. The high rise 500-flat Glasgow Waterfront project at Central Quay is being led by property manager PLATFORM_ and XLB Properties. If consent is granted the firm hopes to start construction of the £90m apartments by the second quarter of 2019, with a scheduled completion date of summer 2021. The project arm of London-based XLB Properties will lead construction. Designed by architect Keppie, the development forms part of a wider masterplan at the Clydeside Central Quay area, which also includes 300,000 sq. ft. of office space and a 150-room hotel. 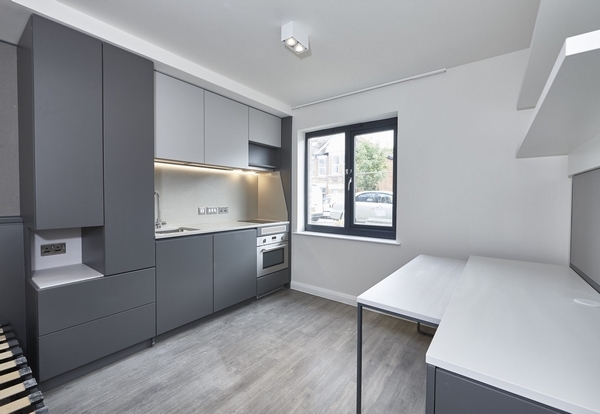 The developer has already built and operates several similar build-to-rent projects across the UK including schemes in Bedford, Bracknell, Crawley, Exeter, and Stevenage. PLATFORM_ is targeting the creation of 5,000 units within the next five years, including Glasgow and a similar development in Sheffield, and has a pipeline of 1,000 units currently in the planning stages. Matt Willcock, Development Director at PLATFORM_, said: “Build-to-rent is a rapidly growing concept around the UK and we’re proud to offer one of the first developments in Scotland. “It’s a form of accommodation we expect to continue to see across the UK, and one which will play a significant role in helping Glasgow attract and retain talent to support its major economies. YouGov’s Smart Homes 2018 Report indicates that close to a quarter of Britons (23%) own one or more smart home devices (excluding smart meters), while one in ten now (8%) have two or more, underlining the growth in the industry. Smart home devices include; smart lighting, smart security, smart speakers and smart thermostats. Smart speakers remain most popular (11% own one of these), ahead of a smart thermostat (6%), lighting (5%) and security (3%). The report shows that once someone buys one smart home device, they are more inclined to purchase another. Among people who currently own at least one smart appliance, consideration for getting other smart devices increases to 40%. Smart speaker owners are much more likely to own another device. A fifth of smart speaker owners also own smart lighting, compared to 5% of the population. Similarly, 19% have a smart thermostat, against 6% of the public. What are the barriers to further growth? Three quarters (75%) of non-owners are aware of smart home appliances, but don’t know much about them. Only 16% of non-owners believe they are fully aware of smart home appliances and know a lot about them (this rises to 39% among owners). Looking specifically at digital assistants, 56% of smart home device non-owners say they don’t see the need for them, as do 54% of owners. YouGov’s data underlines how security fears are one barrier to industry growth. Of the concerns people have about smart appliances, hacking/cyber-attacks come out on top, with 39% of non-owners saying this. Over a third (36%) of this group believe the appliances are too expensive, while the same percentage have fears over data privacy. Ownership numbers are impressive, for this point in the product cycle. The key is to get people buying their first device. Once they do so, they are much more likely to go on and add to their smart home collection. This means that the smart home industry has two areas of growth that may require different strategies – existing entrants to the market, and those from outside. Having said that, many people are either suspicious or don’t see the need for the devices. 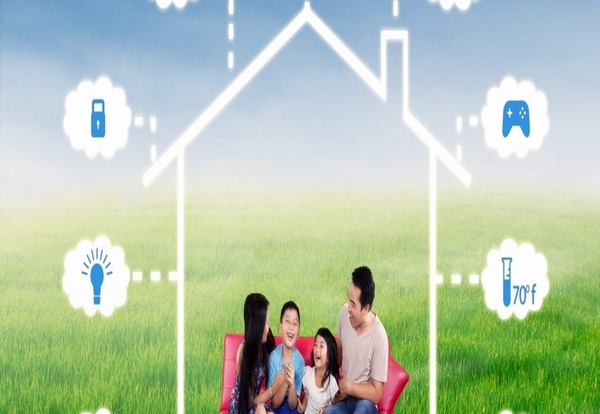 To truly initiate a smart home revolution, prospective customers need not only to be convinced of the capabilities of the technology, but why they need it and how it can help them. 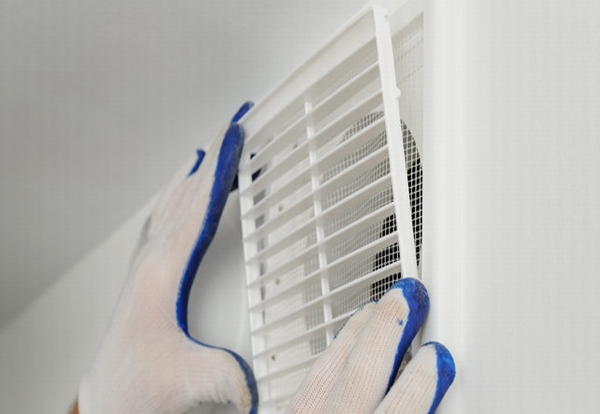 BEAMA has published its first ventilation white paper entitled Better Ventilation, Better Homes, Better Health, with a raft of measures aimed at solving the issues facing the industry and helping to deliver better indoor air quality in UK homes. The paper calls for compulsory assessments of ventilation provision following the installation of energy efficiency measures, a revision of Building Regulations to refocus on ensuring ‘in-use performance and end users’ needs’ and asks the government to make it compulsory that all ventilation installations are undertaken by an installer who is a member of a competent persons scheme. BEAMA also call on the government to make indoor air quality a priority by financially incentivising the installation of ventilation improvements and undertaking public education campaigns on the health risks of indoor air pollution and the simple steps that homeowners can take to improve their own home air. Keith Ritchie, Chairman of the BEAMA Ventilation Group, said: “As homes are becoming ever more airtight we need to focus on ensuring that the ventilation industry plays its part in helping to deliver good indoor air quality. Energy efficiency improvements are being made in isolation without due consideration to the unintended consequences of sealing up homes and where installations of ventilation are being made, they are often not up to scratch. To access the White Paper, please click here. 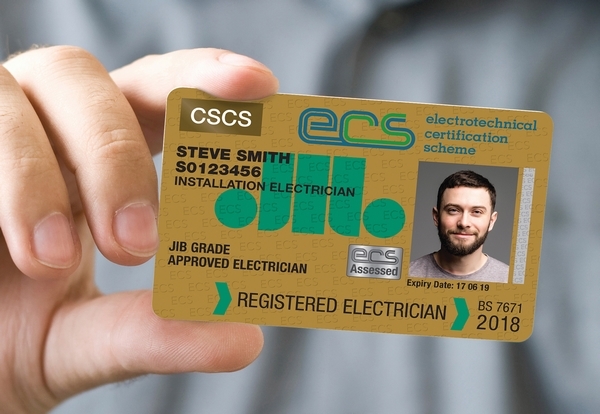 Over 10,000 ECS cardholders have signed up to become ECS Registered Electricians since the initiative was launched last October, says the JIB. The JIB established ECS Registered Electrician status to recognise those who are not only working at the industry-recognised Level 3 status, but also have the current edition of the Wiring Regulations. Following the introduction of BS7671:2018 this month, there will be a transition period until January 1 2019 where both the 17th and 18th Edition of the Wiring Regulations will be accepted for a Registered Electrician application. After this point, only the 18th Edition will be accepted. All Registered Electricians will have until July 1 2019 to update their ECS account with the BS7671:2018 qualification. “The achievement of 10,000 is a fantastic first milestone and that number continues to grow daily,” said David Thomas. “With the introduction of the 18th Edition, we are set to see even more electricians now opting to become Registered Electrician after gaining their BS7671:2018 qualification. Homeowners are being urged to check their gas and electrical appliances over the summer months after a survey revealed a basic lack of safety knowledge among property owners. New research reveals that 66% of homes in the UK have defective gas appliances and 40% of smoke alarms do not work. There are also over 1.1 million illegal gas installations carried out each year – putting the lives of millions of people at risk of carbon monoxide poisoning, gas leaks, fires and explosions. Leading RegTech company Gas Tag said the summer months are the perfect time of the year to check appliances in the home. Gas Tag says booking a Gas Safe registered engineer to visit during the summer months will help to reduce the number of gas related incidents during the winter period. Stephen Ullathorne, co-CEO of Gas Tag, said: “We all know how busy it gets at this time of year, but taking time out from our hectic schedule to ensure our appliances are safe could be a life-saver. Gas Safe Register, the official gas registration organisation for the UK, says almost a fifth of households do not have their gas appliances legally checked, meaning as many as 12 million people could be living with dangerous appliances. As many as 50% of all appliances in the lounge were deemed either at risk or immediately dangerous when audited by the Gas Safe Register. The deck of a movable bridge has been installed in Canary Wharf following a 36-hour voyage across the North Sea from its fabrication site in Belgium. The 28-metre single-leaf bascule bridge will provide a road and pedestrian link between Montgomery Square and Canary Wharf’s new district, Wood Wharf. 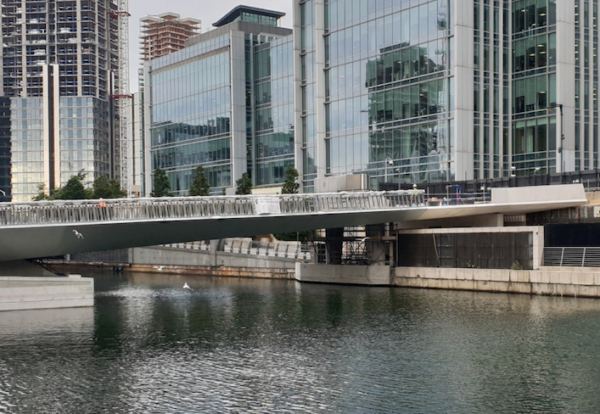 Designed by engineers COWI, Knight Architects and Eadon Consulting, the bridge was manufactured by Victor Buyck Steel Construction for client Canary Wharf Contractors. Twin hydraulic cylinders underneath the eastern end of the steel span will raise the deck to allow large vessels to pass and only in this raised position will the bridge reveal its steel structure and mechanical parts. COWI engineer Vlad Opanasiuk said: “As intended, it looks like a simple design – but there is nothing simple about this bridge. “Both the substructure and superstructure required bespoke structural details to achieve the understated appearance envisaged by the architects. “The deck needs to be light enough to be raised but strong enough to support the crossing vehicles and pedestrians. “We therefore selected an orthotropic steel deck solution, which is lighter and more flexible than a concrete one, significantly reducing the power required to raise it. “To create an open space for pedestrians, the bridge has a relatively wide deck. To provide the necessary torsional stiffness and a visually clean soffit, the main longitudinal girders, which run along the edges of the deck, are tapering closed box sections. The bridge’s location also posed a challenge. 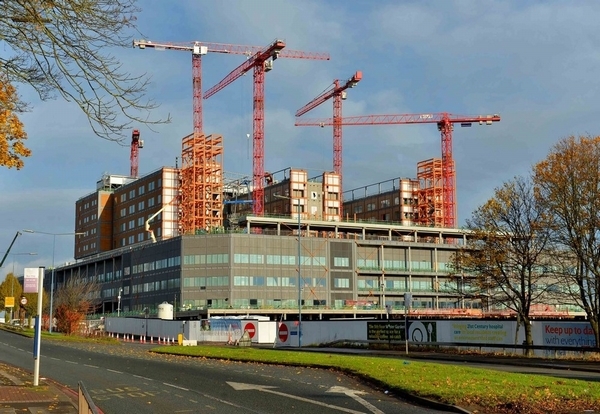 The government has confirmed it will directly fund work to complete construction of the Midland Metropolitan Hospital. Work stopped in January following the collapse of original contractor Carillion. The Department of Health and Social Care said: “Under the agreement, the government will provide funding for the remainder of the building work at Midland Metropolitan Hospital. Procurement for a new contractor will start in November with a winner chosen before next summer. Sandwell and West Birmingham NHS Trust had explored the option of a new private finance deal to complete the hospital but there was no appetite in the market. Sandwell and West Birmingham NHS Trust Chief Executive, Toby Lewis, said: “This is absolutely fantastic news. “After a huge amount of work by teams across Whitehall and the Trust, and with the voices of local residents, clinicians, and stakeholders having been clearly heard, we are delighted that we now have a definitive, publicly financed plan. “We will continue to engage with the construction market over coming weeks and build towards a formal procurement by November this year. Tradify (www.tradifyhq.com), the powerful job management app for small business owners in the construction industry, has launched into the UK. Tradify simplifies time-consuming administration activities, allowing builders, plumbers and electricians to focus on what really matters. Already successful with over 10,000 users in Australia and New Zealand, and easy to use, Tradify is designed to simplify everyday administration tasks such as scheduling jobs, completing quotes, tracking materials and sending invoices. 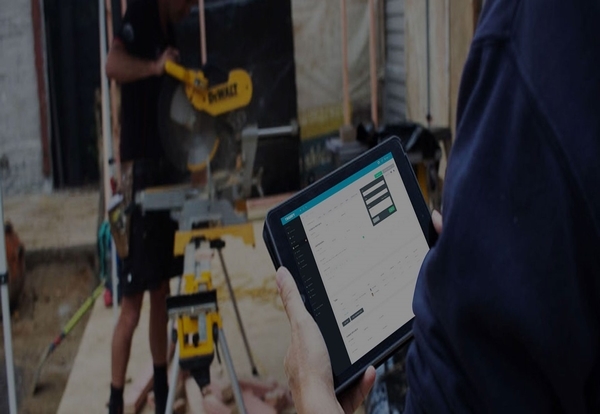 “If you are a builder, plumber or electrician running single or multiple job sites, Tradify takes the hassle out of organising materials and people – and gives you clear information on the profit and loss on a job,” explains Robert Mark, Managing Director of Tradify in the UK. Tradify enables tradespeople to become more professional in their job management, increasing productivity and enhancing their company reputation with customers. Job details and sub-contractors can be set up and managed, with sub-contractors updated on job status, such as task deadlines and materials needed from the merchant or wholesaler, in real time via the Tradify App. From just £20 per month for one to nine users, Tradify is the business partner every successful tradesperson needs. OFTEC registration figures have hit a five-year high and are continuing to rise, underlining the increasing value both technicians and consumers are placing on professional qualifications. The continued low price of oil compared to electricity, LPG and renewable heating technologies – the other heating options available to off grid households – has seen demand for oil remain strong with many consumers choosing to stick with, or even switch to oil. Technicians are capitalising on the popularity of oil by renewing or taking out oil registration for the first time, with OFTEC seeing an increasing number of gas technicians expand into the sector to take advantage of the new business opportunities on offer. It is anticipated the recent announcement by the Department for Business, Energy and Industrial Strategy (BEIS) that oil boilers will be included in the next round of the Energy Company Obligation (ECO3), will likely spark a further wave of technicians seeking OFTEC registration which is mandatory to work on the scheme. OFTEC training manager, David Knipe, said: “While many sectors are facing uncertainty about the future, the heating profession is thriving. All the time households need heat and hot water, there will be demand for skilled technicians. “However, what consumers are looking for is changing. Social media means that incidences of poor workmanship are widely shared and consumers are becoming ever more aware of the risks of employing an unqualified tradesperson. 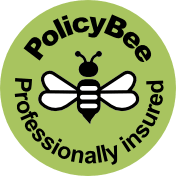 OFTEC registration demonstrates competence and provides homeowners with the peace of mind they are dealing with a professional. This puts those technicians who can legitimately display the OFTEC badge at a distinct advantage when quoting for work. To keep pace with the rise in demand, the number of OFTEC training centres across the country has grown to 88, with the total expected to top 90 by the end of the year. Full details of The ECA #Project18 campaign can be found at www.project18.co.uk. The Cleaner Heat Cashback announced last week by Mayor of London Sadiq Khan has been broadly welcomed by industry. The scheme, which will allow small and medium enterprises (SMEs) in Greater London to apply for a share of a £10 million pot to replace older, working boilers (ten years plus) will help to reduce overall emission rates within the capital. Customers looking to make the changes are being urged to do so quickly as the allocation of funds will be made on a strict first come, first served basis. All applications will also need to be made online. Eligibility for the initiative specifies that applicants must be a London-based SME and either own the building or have responsibility for it and permission from the landlord to make the appropriate changes. Ideal Commercial Boilers believes the initiative is a great incentive for businesses to reassess their current carbon footprint. 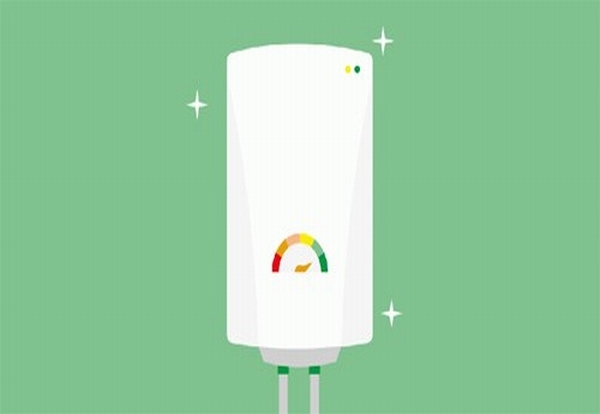 Andy Forrest, national sales manager, said: “For those who will have to upgrade their current heating systems there are several incentives available to help with costs. For instance, the initiative offers 30 to 35% cashback on replacement boilers, an incentive that should encourage SMEs to replace older units. “The added five per cent capital expenditure will be a bonus for those customers who are within an Air Quality Focus Area (areas with high levels of carbon emissions). Vaillant “highly commended this positive initiative” to incentivise and support SMEs to replace old, inefficient commercial boilers with much cleaner and more efficient alternatives. The Builders Merchant Federation supports the initiative, which builds on earlier residential schemes by successive Mayors. John Newcomb, chief executive, said: “The fact that Cleaner Heat is now aimed at commercial premises signals not only a political determination to tackle poor air quality, but seeks to change the thinking of SME owners towards their day-to-day running costs. The Industrial and Commercial Energy Association believes the scheme is a positive step for businesses, carbon reduction and air quality. The Considerate Constructors Scheme has launched the ‘Spotlight on…the next generation’ campaign to provide essential information and resources to help the industry address the urgent issue of attracting the future workforce. The survey revealed that although 85% of respondents would recommend a career in construction to young people, 84% feel the ongoing perception of construction as being manual work is the main reason it remains an unpopular career choice. 77% view the skills shortage as the most pressing issue facing the construction industry. 72% cite the challenging nature of work as the main benefit of a construction career. 37% mentioned changing perception/promoting benefits. 26% suggested engaging schools and colleges. 15% mentioned apprenticeships and training. ‘Spotlight on…the next generation’ – hosted on the Scheme’s Best Practice Hub – has been launched by the Scheme to raise awareness of the wide range of resources, organisations, case studies, key information and guidance available to help construction to attract the future workforce. The campaign contains a wide range of practical case studies of what organisations have done to help attract more people in to the industry. These include contributions from organisations such as: Balfour Beatty; Class of Your Own; Engie; Hobson and Porter; Kier; Laing O’Rourke; Mace; McLaughlin & Harvey and Wates. In addition, the Scheme has collaborated with CITB’s Go Construct initiative to produce promotional posters for registered sites, companies, suppliers, clients and professional partners to use to help attract potential workers to consider a career in construction. With over a quarter (26%) of survey respondents seeing engagement with schools and colleges as crucial to helping address the shortage of workers, the Scheme is pleased to report that 91% of respondents said their site or company engages with schools or youth groups – and 66% have personally visited schools or youth groups to discuss their career. A key mechanism to help improve perceptions amongst school children, teachers and parents is through the industry’s mascots Ivor Goodsite and Honor Goodsite. In 2017 alone, Ivor/Honor visited over 22,000 school children. Considerate Constructors Scheme chief executive Edward Hardy said: “The shortage of new entrants in to the workforce is one of the most pressing issues facing the construction industry. With over 400,000 new recruits needed each year to deliver construction projects, we must all take steps to attract the next generation. ‘Spotlight on… the next generation’ will be continually updated with new case studies, resources and guidance. Email enquiries@ccsbestpractice.org.uk with any ideas and suggestions you may have and to showcase any case studies from your organisation. Click here to read ‘Spotlight on…the next generation’. 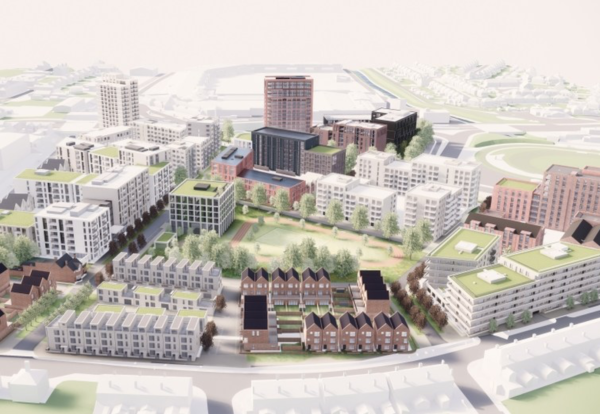 Birmingham’s plans to host the 2022 Commonwealth Games have stepped up with the submission of plans for the athlete’s village. The accommodation will also feature a running track and green spaces and is a short distance from Alexander Stadium where the track and field events will take place. Glancy Nicholls Architects has developed the masterplan of the Commonwealth Games Village. After the Games, the Village would provide around 1,400 new homes across a range of different tenures. The development would also include an extra care village for older people and a community centre. The use of flammable cladding on Grenfell Tower and other high-rise residential blocks constitutes a breach of the residents’ human rights, according to the Equality & Human Rights Commission, and thus exposes public authorities to prosecution under the Human Rights Act 1998. The Equality & Human Rights Commission (EHRC) has written to the Department for Housing, Communities & Local Government (DHCLG) outlining its concerns about the continued use of combustible cladding in existing buildings and advising the department of its responsibilities under human rights laws to protect lives. The EHRC has expressed its concern that the consultation on the use of external cladding omits any reference to the government’s duty to protect lives under article 2 of the European Convention on Human Rights and schedule 1 to the Human Rights Act 1998. The EHRC explains: “The right to life is one of the fundamental guarantees in international human rights law. In many respects it is a prerequisite to, and closely linked with, the enjoyment of all other rights. The right to life is protected under international and European human rights treaties, including Article 6 of the International Covenant on Civil and Political Rights (ICCPR) and Article 2 of the European Convention on Human Rights (ECHR). The UK government has signed up to these treaties and has to abide by them at all times. According to the findings of a recent health and safety survey conducted for Bosch, UK tradespeople are the most safety conscious in Europe. 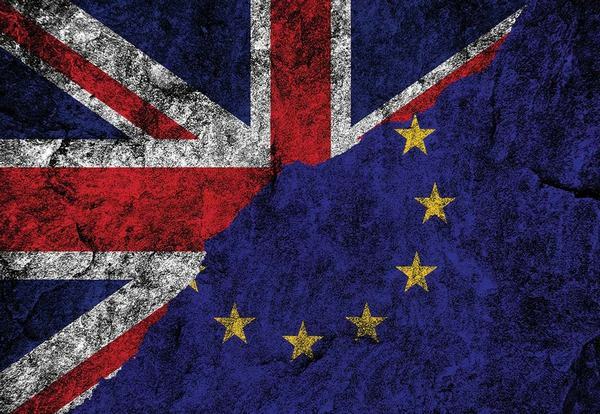 The poll canvased the views plumbers and other building trade professionals in the UK and eight other European countries including Germany, France, Spain and Italy. Over 100 tradespeople from the UK were surveyed, with 824 participants across Europe in total. The results found that 56% of the UK tradespeople said that they stopped work several times a day or even more frequently in order to meet health and safety requirements. Across the channel in France around 35% of workers were stopping a similar amount of times, while in Spain it was 37.5% and in Germany a little over 39%. The survey also shed light on which tasks trade professionals place most importance on, in terms of using protection. In the UK grinding metal was rated highest, with 46% of respondents flagging it up. After this came drilling concrete and sawing wood. Poor van driving bad for business? Gas Safe Register is highlighting summer statistics to encourage consumers and installers to check gas appliances “come rain or shine”. Nearly 1,300 sites were identified as unsafe by Gas Safe Register’s inspections team last summer due to dangerous gas appliances being found, 18% higher than the number of unsafe sites recorded in the previous winter months. Despite these findings, a survey of more than 2,000 UK adults found that one in five (19%) would only consider getting their gas appliances checked if they stopped working. The 18th Edition of the IET Wiring Regulations has published. 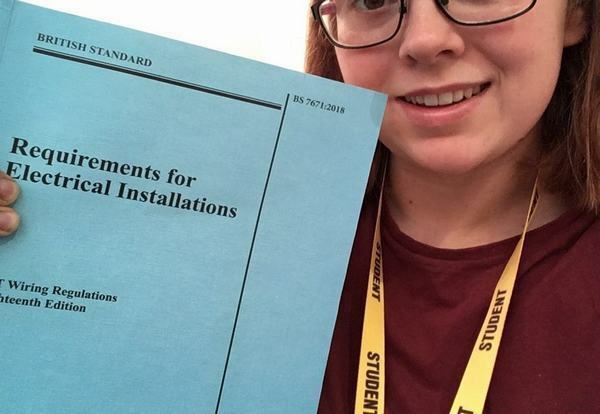 The essential publication for all professionals working in the electrical industry forms the national standard to which all new and amended electrical installations in the UK are to comply. The IET urges all electrical professionals to ensure they are familiar with the changes before the new requirements come into effect from January 2019. Mark Coles, head of technical Regulations at the IET, said, “The IET is the authority for electrical installation in the UK and ensures that JPEL/64, the national Wiring Regulations committee, carefully considers all necessary updates to the Regulations to ensure they best meet the needs of the industry. BS 7671:2018 and the IET’s suite of guidance are available from www.theiet.org/wiringbooks. To accompany the 18th Edition, the IET is launching online training for the City & Guilds 2382:18 qualification. The only online training to be endorsed by City & Guilds for this qualification, the Full and Update courses both offer flexible learning. Accessible via an app, the training also includes three full practice exams. More information can be found at www.theiet.org/academy-regs-pr. A new online training resource from the Institution of Engineering and Technology (IET), the IET Academy, has launched a comprehensive yet flexible course to get electricians up-to-date with the 18th Edition of the IET Wiring Regulations (BS 7671:2018). The IET Academy provides the only course prepared by the IET, which jointly publishes the IET Wiring Regulations with BSI. The authors have been carefully selected for their industry experience and knowledge of BS 7671. Fitting around work, the IET Academy provides a learning solution that doesn’t take electricians away from their job and can be completed anywhere and at any time. The course, which is suitable for anyone needing working knowledge of BS 7671, including electrical installers, designers, specifiers and those working in the inspection and testing of electrical equipment, will also fully prepare electricians for the City & Guilds 2382:18 exam. 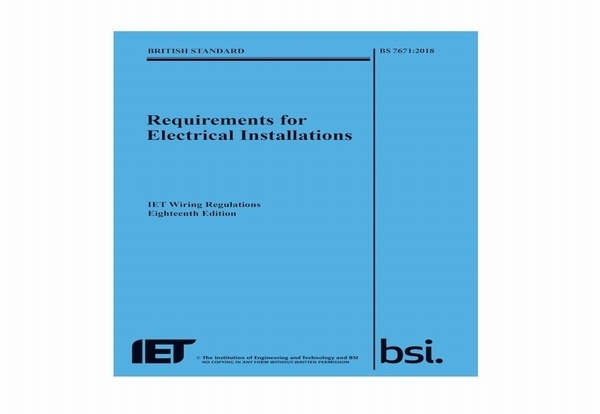 The IET Wiring Regulations is an essential publication for all professionals working in the electrical industry and forms the national standard to which all new and amended electrical installations in the UK are to comply. The IET urges all electrical professionals to ensure they are familiar with the changes in BS 7671:2018 before the new requirements come into effect from January 2019. Police investigating the Grenfell Tower fire have started a series of interviews under caution. 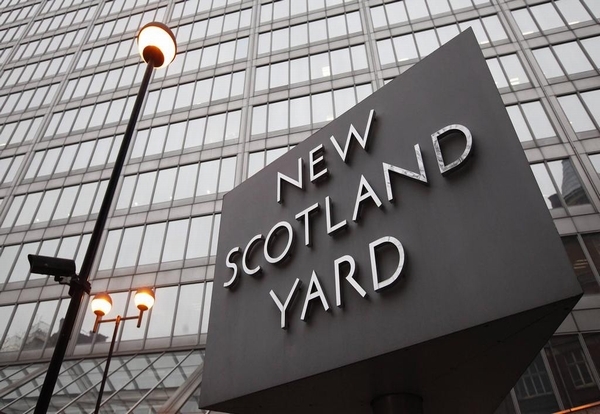 Detectives are considering offences including gross negligence manslaughter, corporate manslaughter and breaches of Health and Safety legislation. There have not been any arrests at this stage. Painstaking police work at Grenfell Tower is nearing completion with a handover of the building due to take place next month. Over the past year, police have carried out searches, forensic examinations, digital scanning, photography and videography. Investigations have also included examination by many independent experts of specific aspects of the building construction and maintenance systems backed-up by a series of off-site tests and reconstructions. Commander Stuart Cundy, said: “The handover of Grenfell Tower by the police will only occur once we are entirely confident that all police work has been completed at the tower and handing the tower over to the responsible body will have no bearing on the ongoing criminal investigation. “The concerns of the bereaved, survivors and residents as well as the wider community will be central to how the handover takes place. “We recognise this will be a significant milestone and one that is bound to stir a range of emotions for all those affected by this tragedy. Facebook has struck a deal to locate its UK HQ at the Kings Cross Goods Yard regeneration site, kick-starting another major construction scheme spread across three buildings. The deal to take 610,000 sq ft paves the way for work to start on 11 and 21 Canal Reach and P2, the last major sites on the long-running regeneration scheme. While not quite the same scale as the Google HQ at 1m sq ft on the site, it ranks as one of the most significant commercial deals in London this decade – booking 15% of the total 4m sq ft commercial space at King’s Cross at a stroke. Buildings 11 and 21 Canal Reach have been designed by architect Bennetts Associates and have detailed planning permission, featuring 10 and 12 floors of modern Grade A office space respectively (415,000 sq ft in total). With expansive double-height receptions and 42,000 sq ft of landscaped roof gardens and terraces, the buildings located in the ‘Western Yards’ of King’s Cross will offer views over Central London. Contractor BAM is in line to deliver the two curving office blocks on this northern part of the site. P2 on Lewis Cubitt Square, for which a reserved matters planning application was submitted in June, is designed by Allford Hall Monaghan Morris. It will provide nine floors of office space (196,000 sq ft), alongside a new theatre for London, a fifth-floor wraparound terrace and retail space at ground level. Facebook plans to open its new offices in King’s Cross in 2021. Van drivers have been warned to take more care on the roads amid concerns their bad driving could be bad for business. 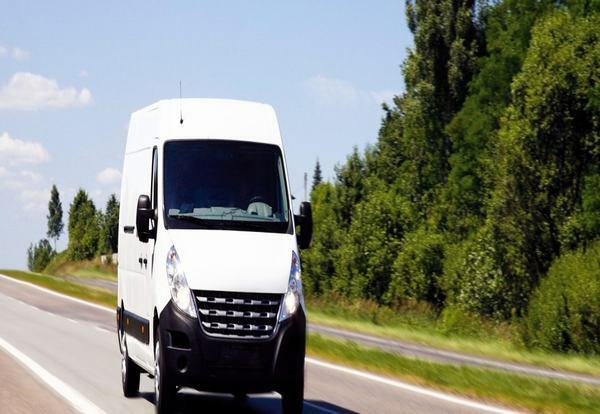 Experts at one of the UK’s leading suppliers of vans to tradesmen and women LeaseVan.co.uk say poor van driving could be enough to put people off dealing with a company. They warned customers to ensure vans are driven courteously and that speed limits and other road users are respected at all times. 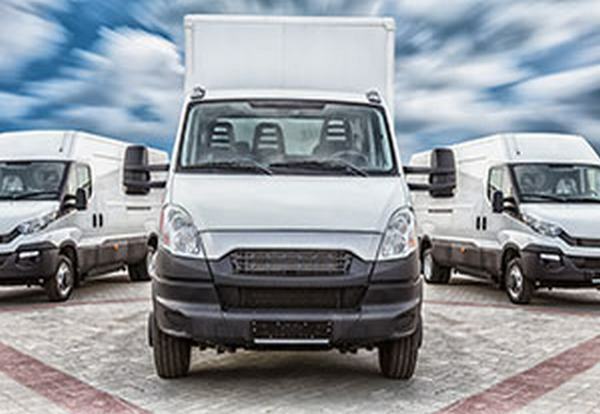 The van leasing specialists warned that badly driven vans could be costing the sector millions in lost revenue every year – with small businesses likely to be hardest hit. Examples of bad driving likely to lead to lost business for van drivers include cutting up other motorists, racing away from traffic lights, failing to stop at zebra crossings and pulling out abruptly from junctions. Because vans are often branded with a company’s logo and contact details it makes it very easy for other road users to boycott a firm if they take umbrage. The experts are urging more companies to train van drivers on customer service and on how best to represent their employer while out on the roads. A spokesman for LeaseVan.co.uk said: “Van drivers need to realise that each and every time they get behind the wheel they are an ambassador for their company. “If they then tear about cutting people up, racing through traffic lights on amber and failing to stop at zebra crossings they are going to create a very bad impression for their company with other road users and the general public. “Many companies employ drivers without making it absolutely clear to them that they are ambassadors for the brand. “In some cases these drivers will interact with more members of the public each day than the average salesperson for the company so they should really be given training on how to conduct themselves on behalf of the company. “If a van is driven badly it’s likely to be remembered for all the wrong reasons and if it’s branded with logos and other details it’s likely to lose lots of orders for the company. He said even small businesses such as one-man-band plumbers and builders need to be mindful of how their driving is perceived when out on the road. But he warned larger firms to ensure all their drivers understand their roles of company ambassadors urgently. He said: “Small companies with perhaps one or two vans usually understand that they are representing the firm when they are on the way to and from jobs. “But when a company operates a fleet of vans and perhaps employs hundreds of drivers then the message that drivers are brand ambassadors can get lost. “We would like to see all fleet operators speak to their drivers and ensure all of them understand the need to drive sensibly and respectfully at all times. Cabling leader AEI Cables is taking fire performance to new levels with its Total Fire Solutions range of products for the built environment. The development of its Firetec range of cables using the very latest in technology and science offers enhanced fire performance cabling, accessories and technical support from one source ensuring critical fire-safety circuits can continue to operate in the event of a real fire from 30 minutes up to 120 minutes. AEI Cables says it has listened to customers – with rising concerns at the number of fires in high-rise buildings in Europe and the Middle East ­- and developed a range of cabling which is future-proof. Stuart Dover, commercial manager for AEI Cables, said: “This development of this range of cabling supports the initiative to make our buildings safer and ensure systems can continue to operate in the event of a fire including fire alarms, voice alarms and emergency lighting circuits. The AEI Cables Total Fire Solutions’ package offers Mineral Insulated Cables (MIC), Firetec Enhanced or Firetec Power and the full range of accessories for all fire performance applications. Categories of fire performance are made up of Categories 1 and 2 for means of escape for 30 minutes and then 60 minutes respectively, and these cables are tested in accordance with all relevant codes. Category 3 refers to power and control cables meeting the 120-minute test according to the relevant standards. Only Mineral Insulated Cable (MIC) or an enhanced cable meeting the requirements of BS7846 F120 will meet this criteria. As part of an ongoing drive to make training more accessible to installers, Baxi has launched an online booking system for all of its courses. 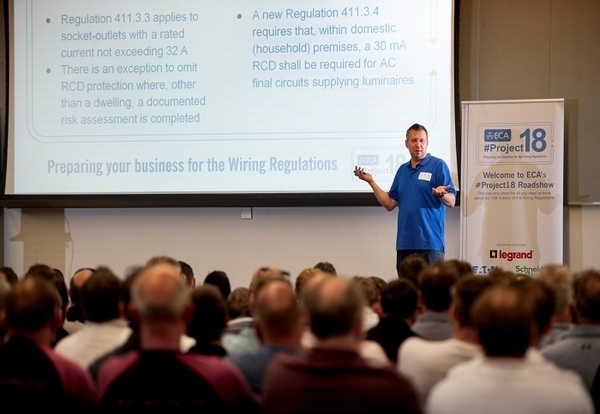 Installers can now view upcoming dates on Baxi’s website and reserve a place at the courses they wish to attend. 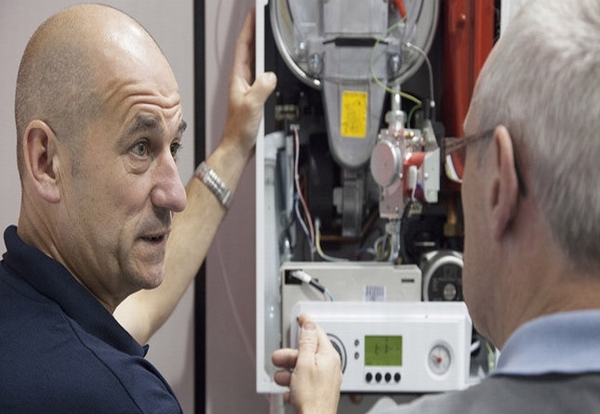 Topics include free product training on ranges such as Baxi 600, as well as specialist and accredited training courses including fault finding or Domestic Hot Water Storage Systems (Unvented). For more information, or to book a course, visit http://trade.baxi.co.uk/trade-area/training.htm. The Building Controls Industry Association (BCIA) is urging the industry to ensure that they are informed about the best ways to tackle growing demands in commercial buildings to ensure optimum comfort for occupants during summer heatwaves. With the weather forecasts showing no let up in the hot temperatures, this is having an impact on some of those who work in commercial buildings. 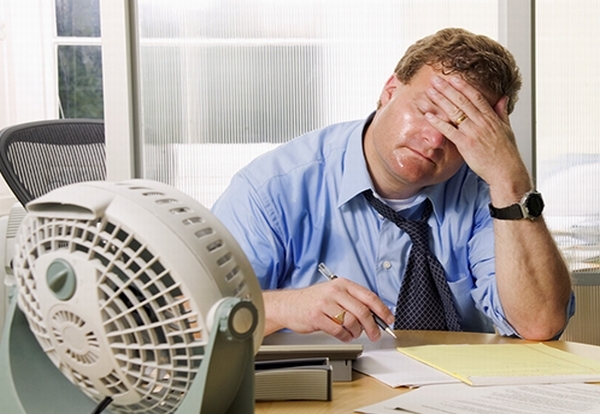 Research undertaken by Harvard University found that those working in hotter buildings performed worse in problem solving and memory tests compared to those with air conditioning. The BCIA says buildings that feature innovative and effective building controls can help to improve the productivity of occupants by providing a healthy working environment. Many smart and sophisticated building controls allow building occupants to manage their own personal preferences for their workspace in regard to ventilation, cooling and lighting. According to the BCIA, opportunities are still being missed to take full advantage of the latest smart controls and solutions in today’s buildings, so it is urging both those new and experienced in the industry to invest in training. All courses are available to book throughout the year at various UK locations and feature the latest technical developments in the industry. 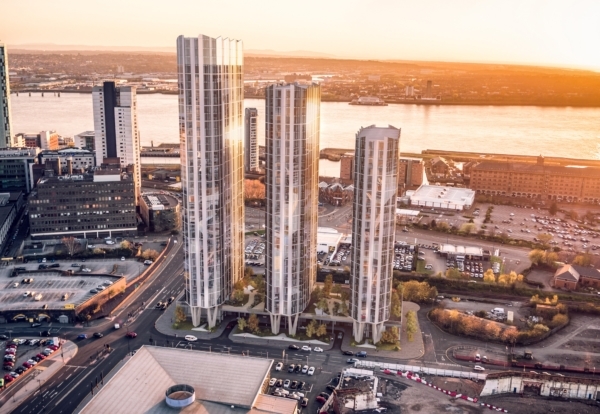 Developer Elliot Group has appointed local contractor Vermont Construction to deliver the first of three towers on its £250m Infinity development on the northern edge of Liverpool’s business district. Vermont fought-off competition from Forrest to land the 123 metre tall residential tower which will be the highest of the trio. Work clearing the Pall Mall site for the 39-storey tower began in April and construction will start in September with an anticipated completion date of spring 2020. Elliot Lawless of Elliot Group said: “We looked at Vermont’s track record building towers in Liverpool and Salford Quays and it was clear that they had a firm grip on the issues posed by going tall. 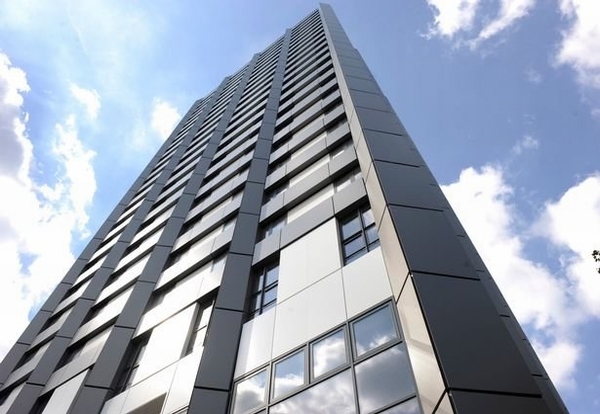 More than 70% of the apartments in Tower 1 have been sold to UK and overseas investors, with a new price record for the city of £398 per square foot being achieved. Vermont chief executive Mark Connor said: “We are delighted to be working with Elliot Group to deliver this landmark building which we believe will set a new benchmark for residential accommodation within the city. Falconer Chester Hall are the scheme architects whilst Savills have been appointed as employer’s agent. WSP are the structural engineers and planning was managed by Zerum Consult. 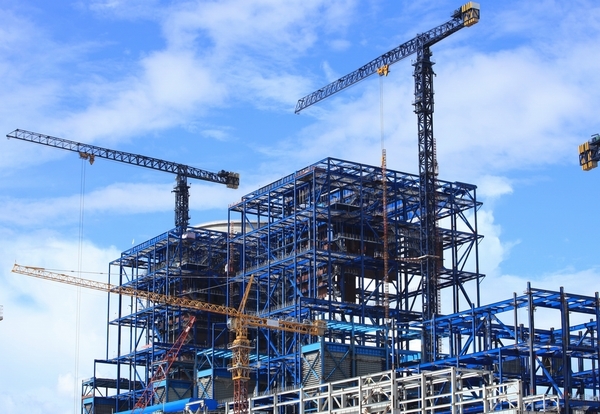 After a slow start to the year, manufacturers of construction products saw a noticeable upturn in business in the spring. The Construction Products Association’s state of trade survey for the second quarter of 2018 Q2 shows that members began to catch up on activity lost to adverse weather conditions during the first three months of the year. 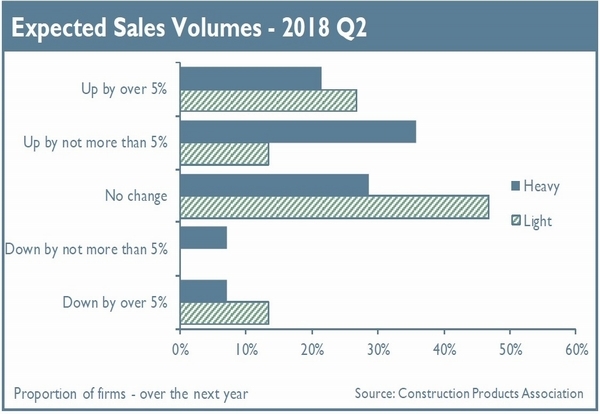 As construction product sales act as an early indicator of wider activity in the supply chain, the survey findings signpost a rise in total construction output levels over the next 12 months. Heavy side manufacturers reported sales in Q2 rising for a balance of 40% of firms, following two previous quarters of falling sales. For light side manufacturers, 29% of firms on balance reported a decrease, which was the weakest performance since 2012 Q3. This reflects the lagged impact of the industry’s decline in Q1, as light side products such as insulation, boilers, glass and lighting tend to be used at the end of the building process. Manufacturers anticipate a return to growth in the coming quarters, with 43% of heavy side firms and 27% of those on the light side expecting an increase in sales over the next 12 months. Input cost inflation continues to persist, however, particularly for the energy-intensive heavy side, which is experiencing the pass-through of rising global commodity prices on fuel and energy costs. Rebecca Larkin, the Construction Products Association’s senior economist, said: “These results fit the profile of construction catch-up from a weather-affected Q1. As we’ve moved from a freezing spring to a hot summer, groundworks and work on external structures has been able to resume, and this has been reflected in increased sales for heavy side manufacturers. The disruption in Q1 is likely to have delayed interiors and finishing works starting on site which is evident in the decline in light side sales during Q2. 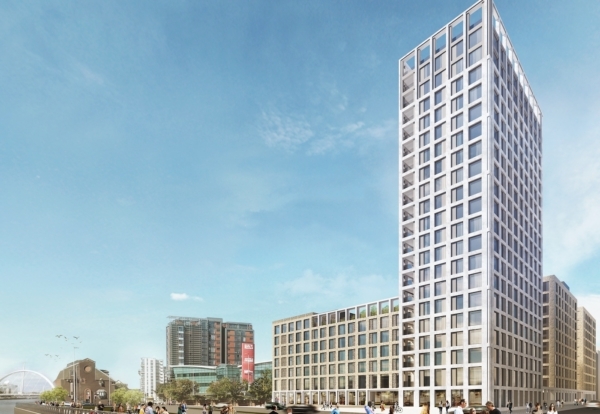 Plans for a high-rise 860-bed student scheme in Sheffield city centre have been waved through by planners. Joint venture developers Bakewell-based Litton Property Group and Edinburgh-based Buccleuch Property plan to build the scheme on the former Stokes Tiles Centre site at Fitzwilliam Street. 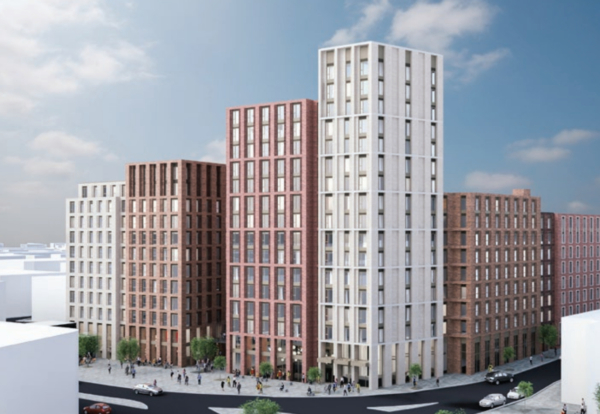 The scheme, which will be split into four interlinked blocks ranging up to 15 storeys, is out to tender with Bowmer & Kirkland understood to be among firms seeking to build the project. Work is expected to start on the project in September and take 24 months to complete. The landmark project will boast 395 studio apartments, 33 two-bedroom apartments and 417‐12 bed cluster apartments, providing a total of 850 beds.